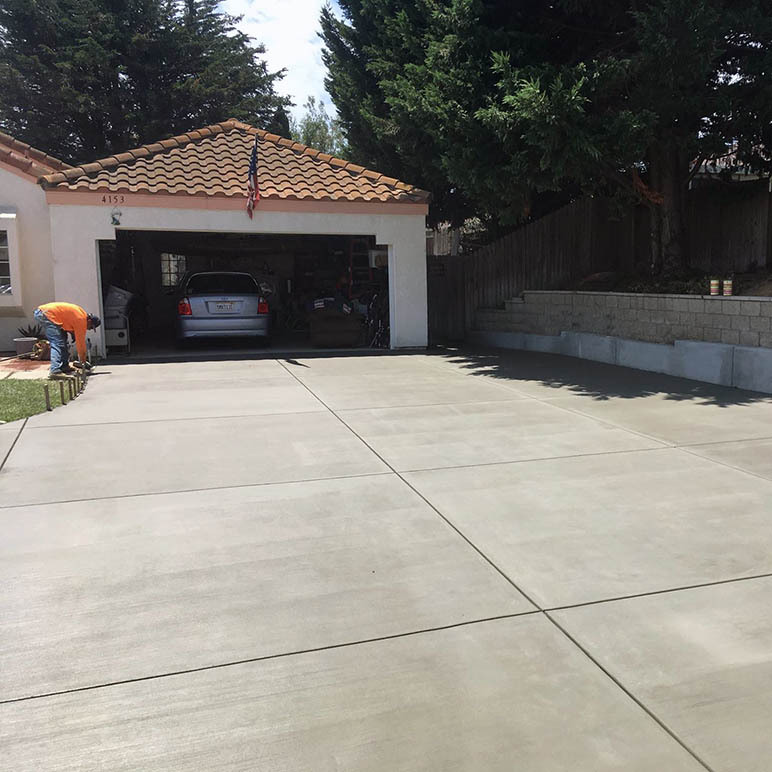 Concrete is what we do. 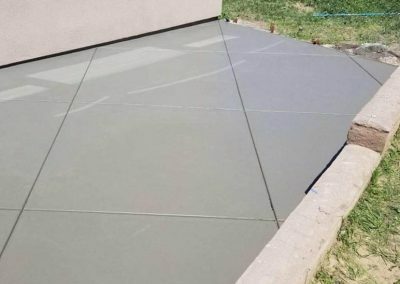 It’s composed of fine and coarse aggregates like sand and gravel bonded together with cement that cures to a stone-like structure. 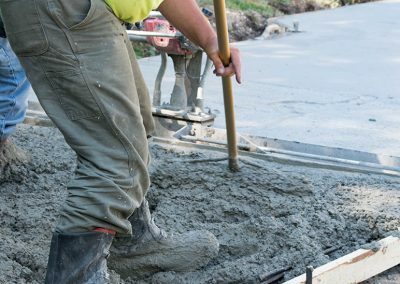 Concrete is as ancient as the Roman and Egyptian empires but continues to be improved upon allowing buildings to peer into the clouds and dams to hold back rivers. 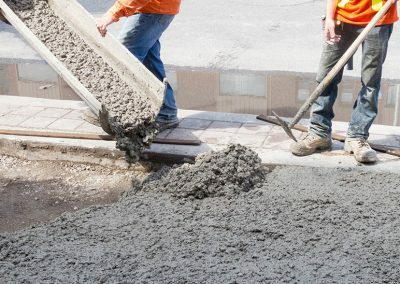 Today, uses for concrete are everywhere. 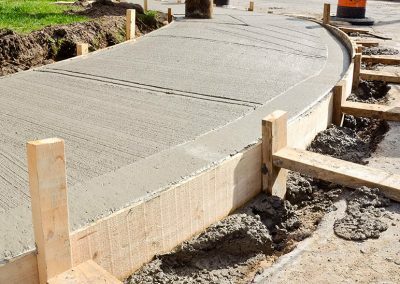 R&E Concrete Company builds driveways, walkways, patios, retaining walls, and foundations from poured concrete. 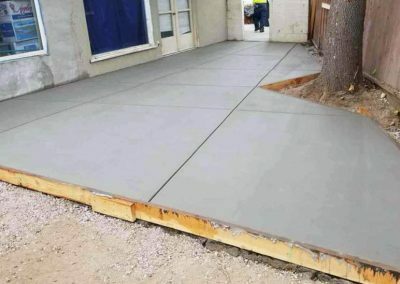 But that’s not the only concrete service we perform. 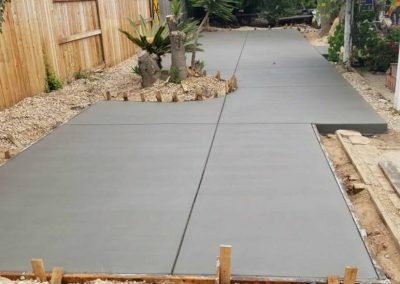 As your local Santa Barbara concrete contractor, we build all kinds of things from materials created with concrete. 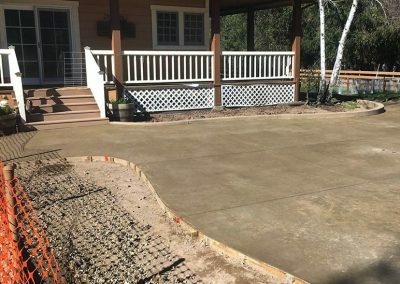 Concrete pavers adorn walkways, patio, driveways, and more. 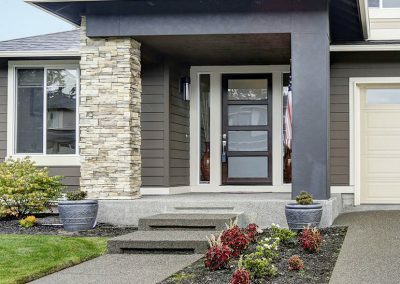 Manufactured stone is used to veneer homes giving up a nod to past construction styles. 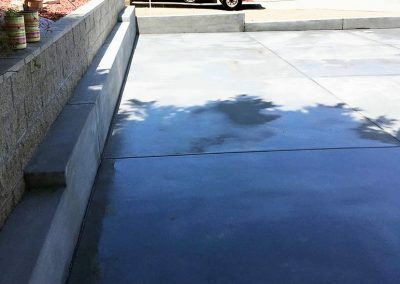 Concrete can be colored, stamped, and textured to create everything from concrete kitchen countertops to the magical environments of theme parks. 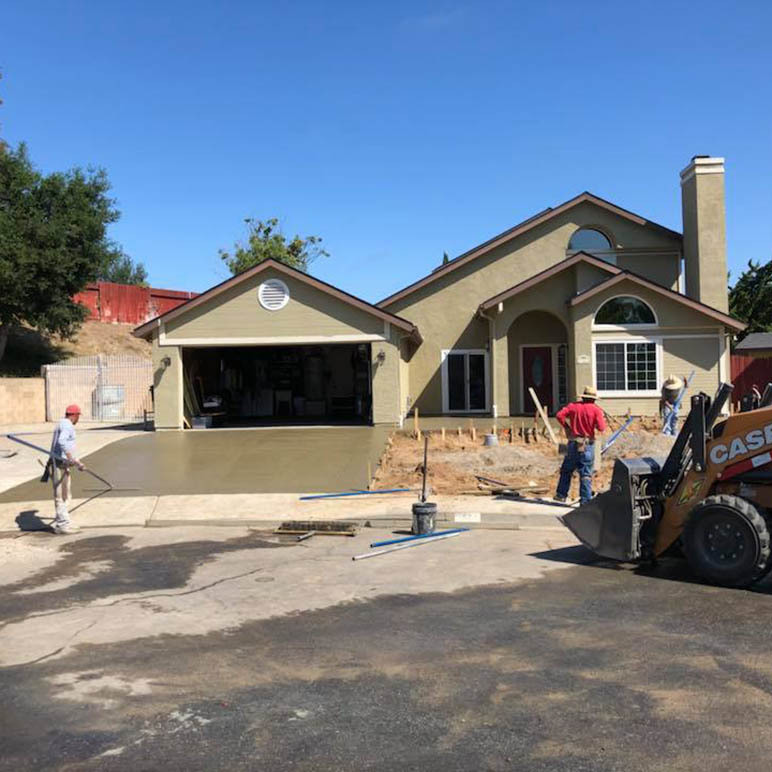 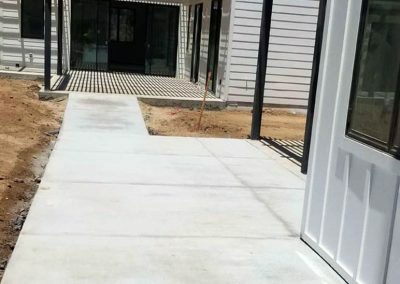 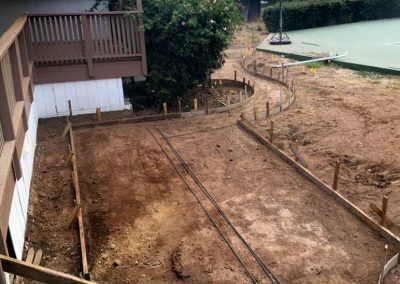 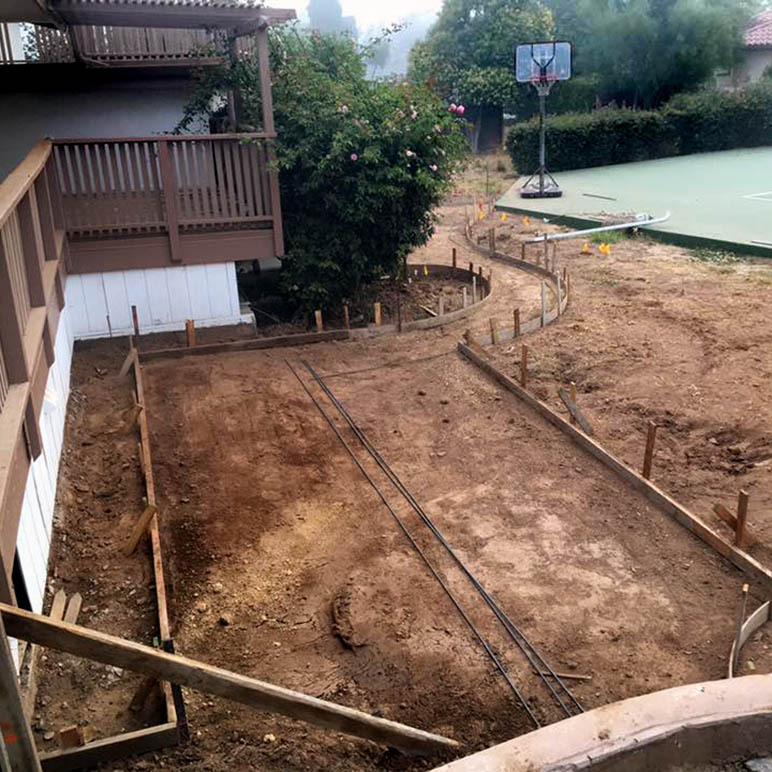 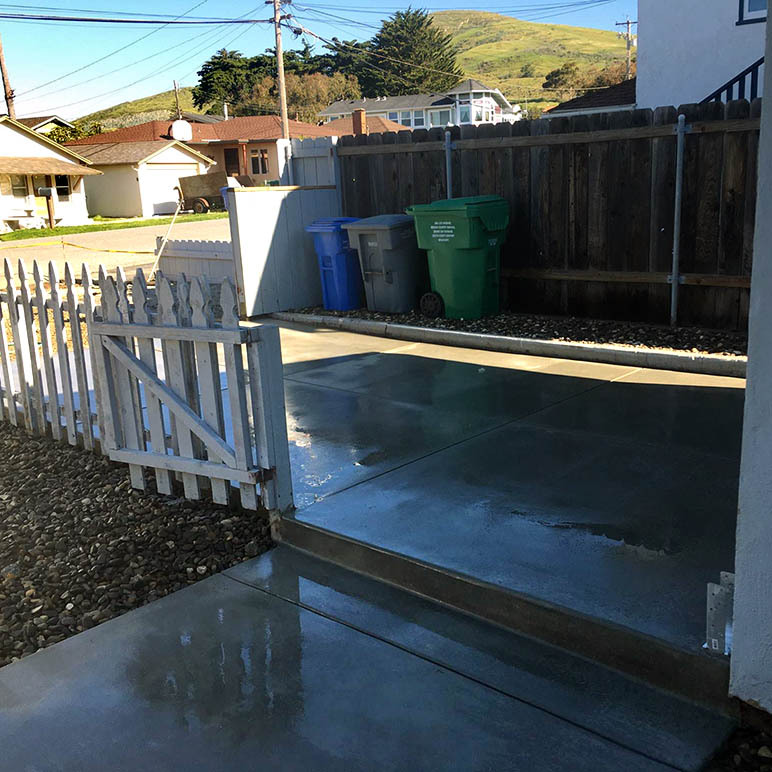 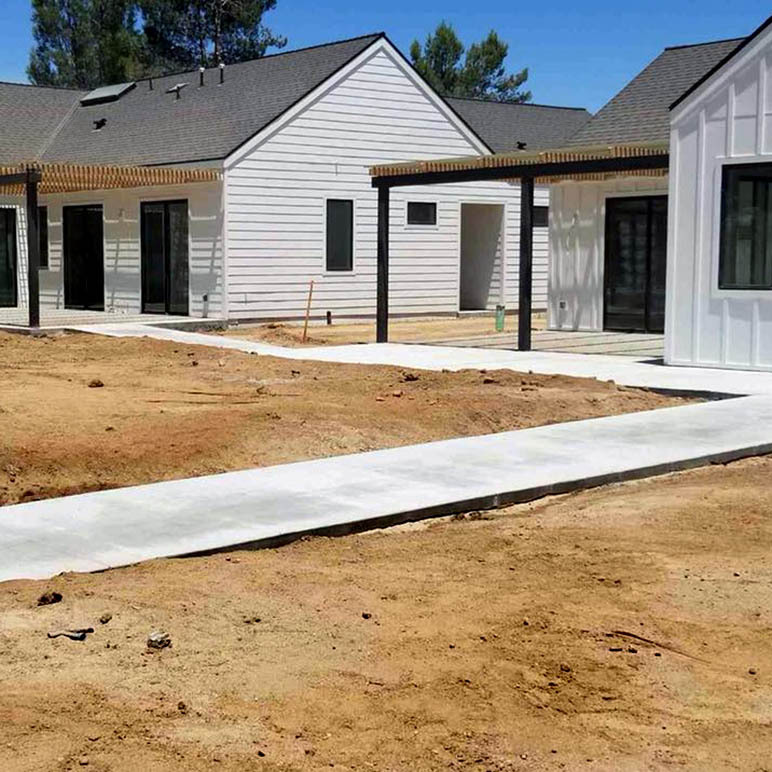 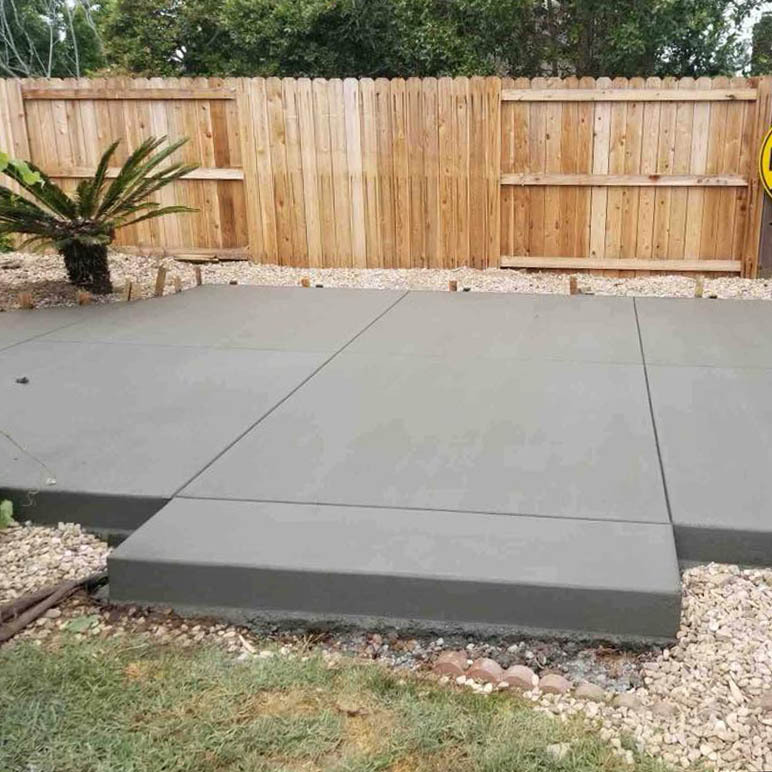 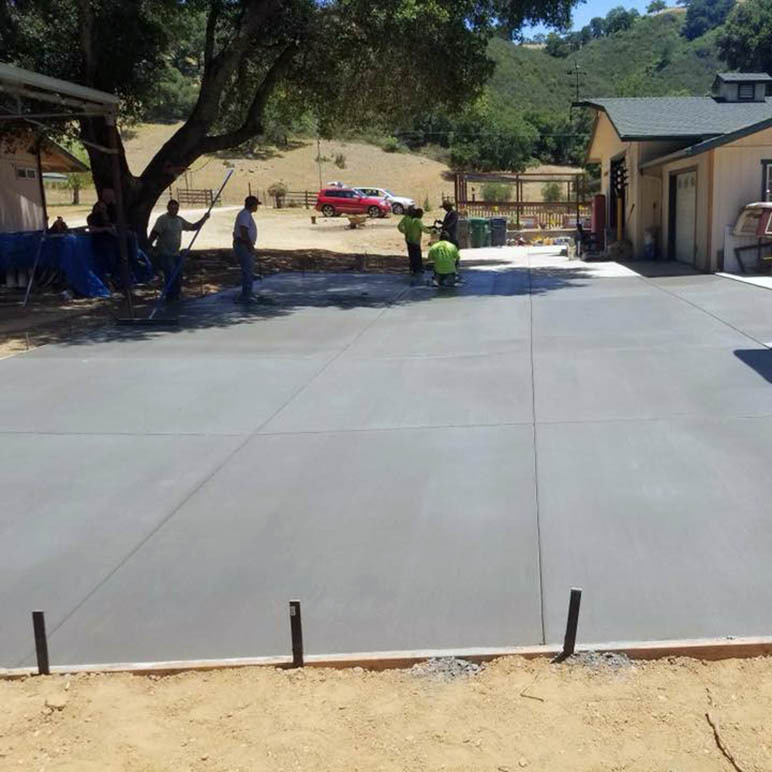 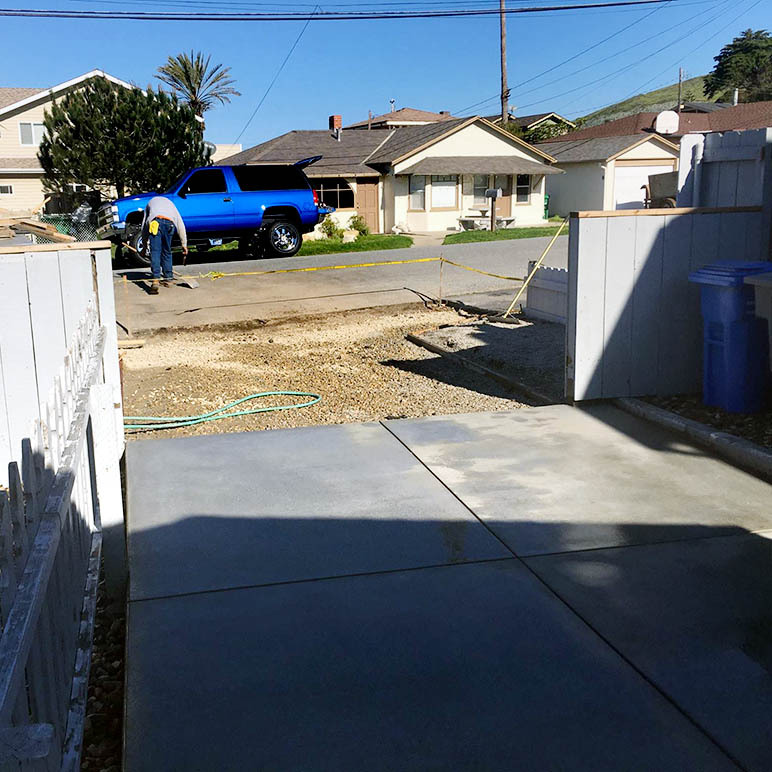 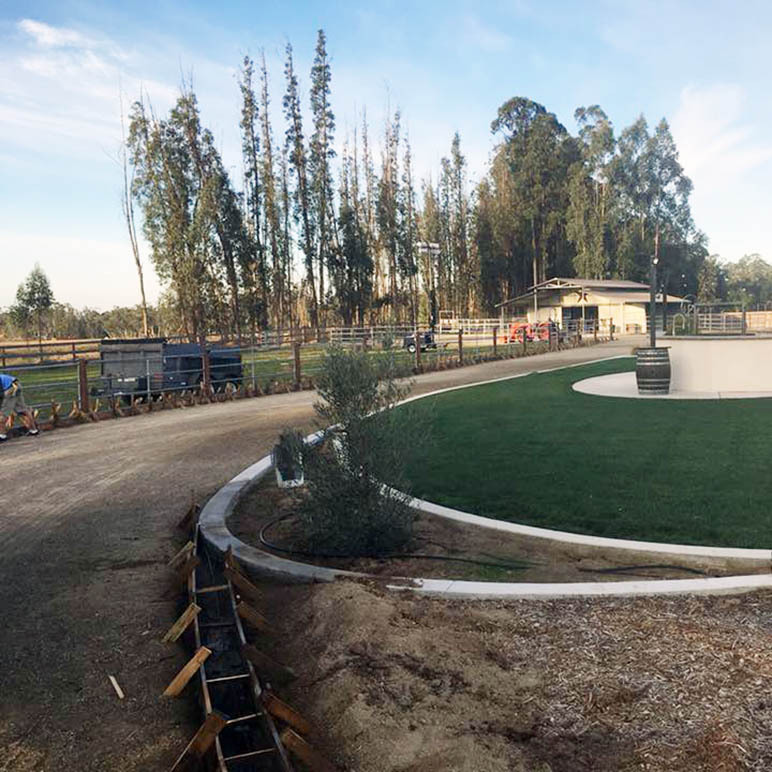 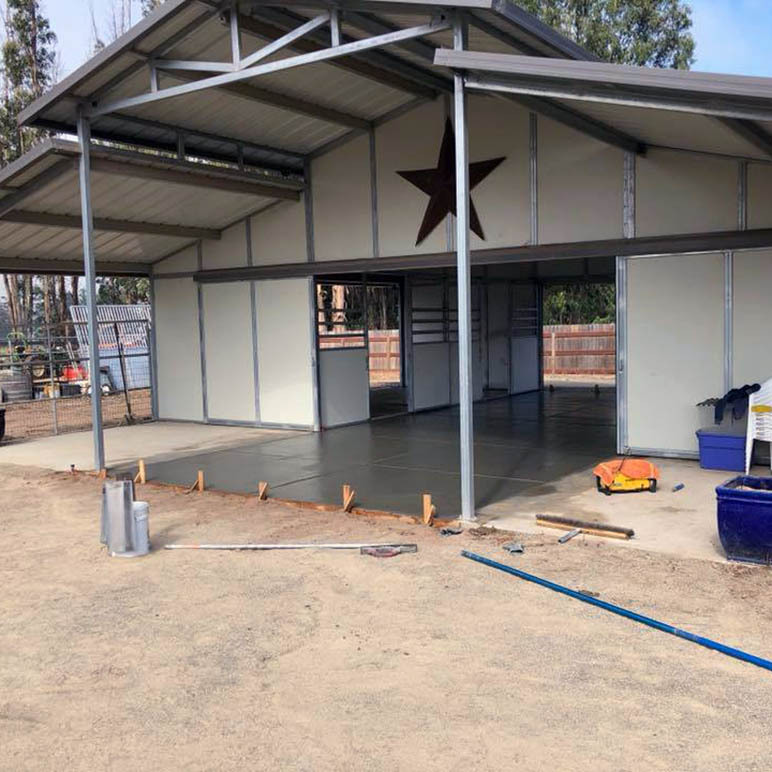 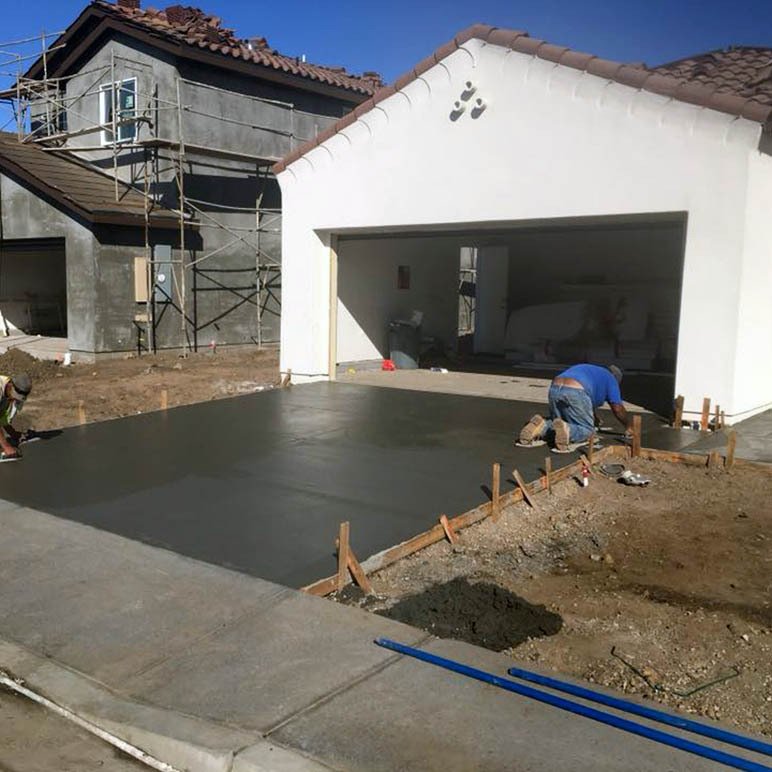 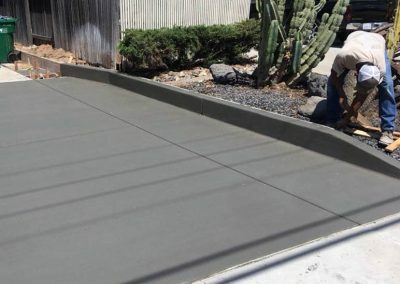 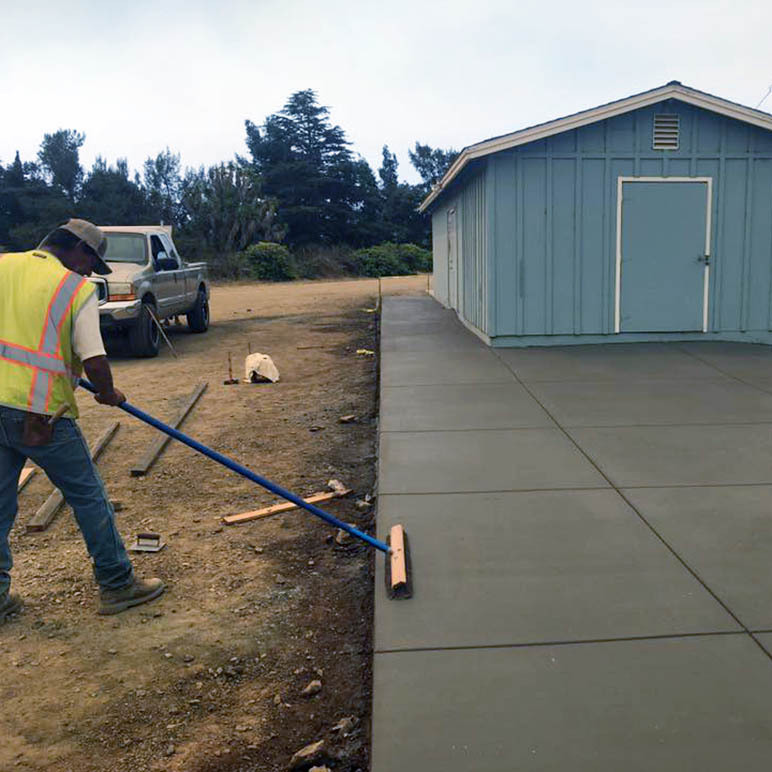 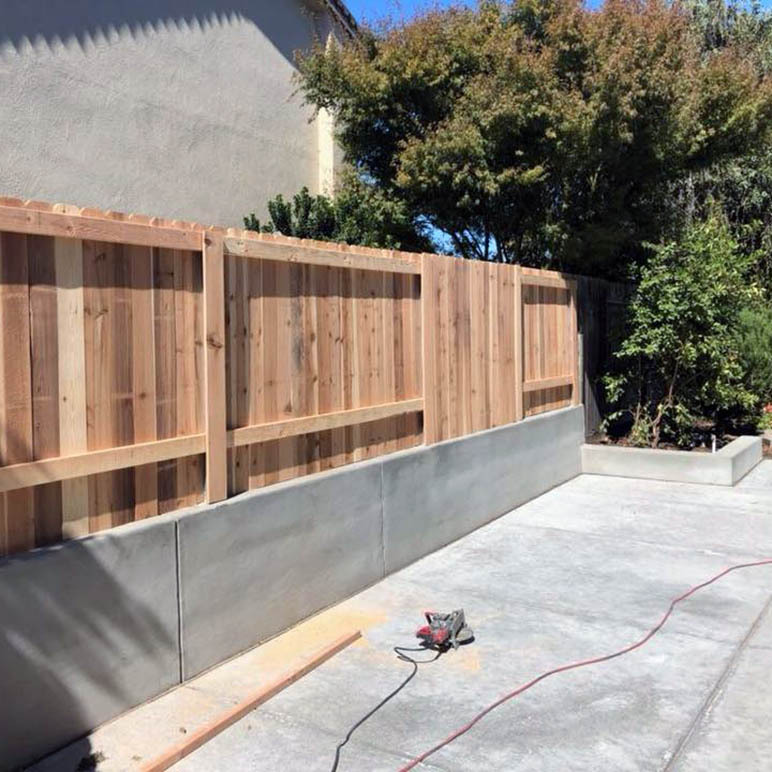 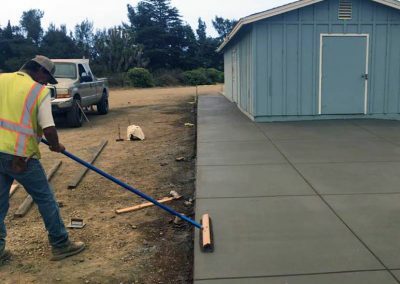 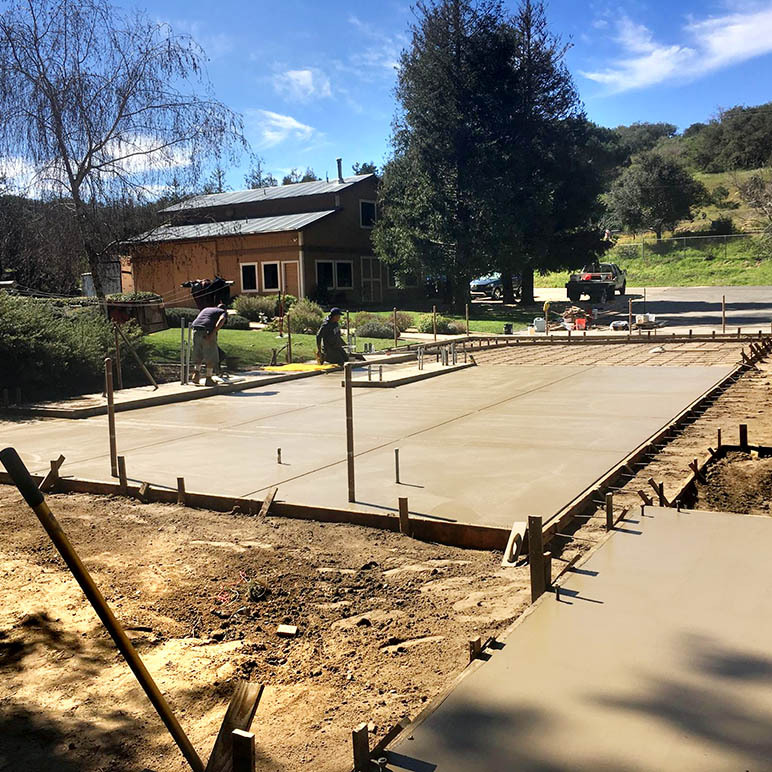 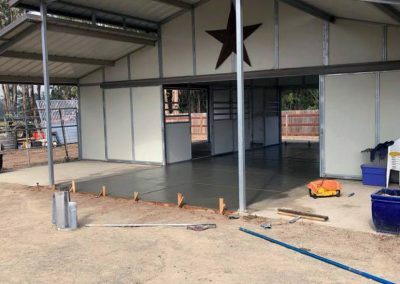 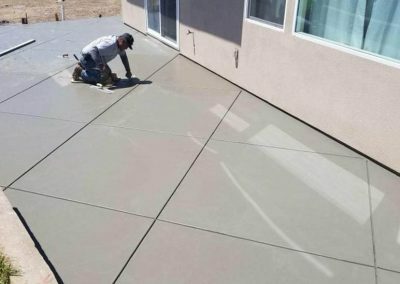 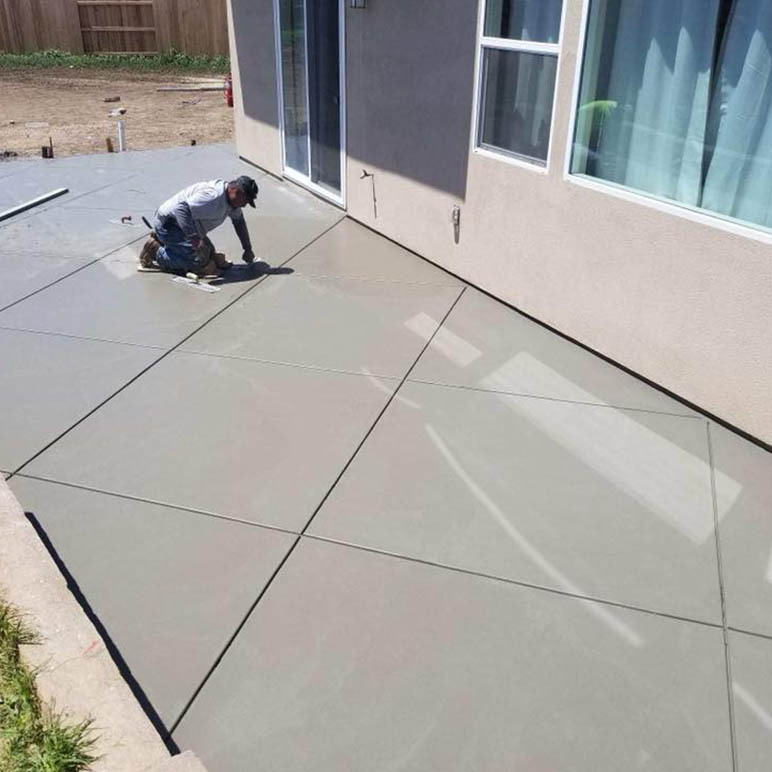 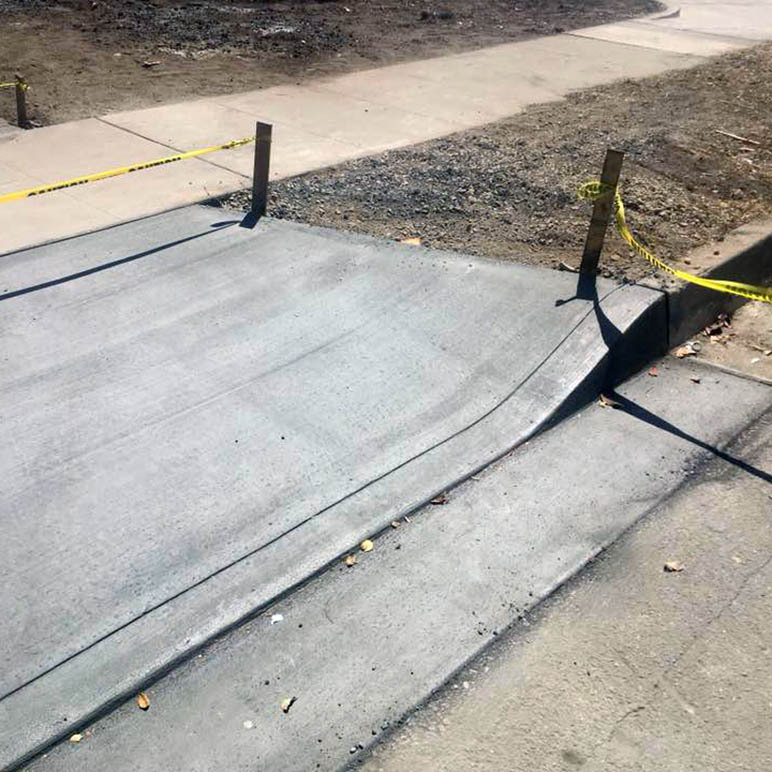 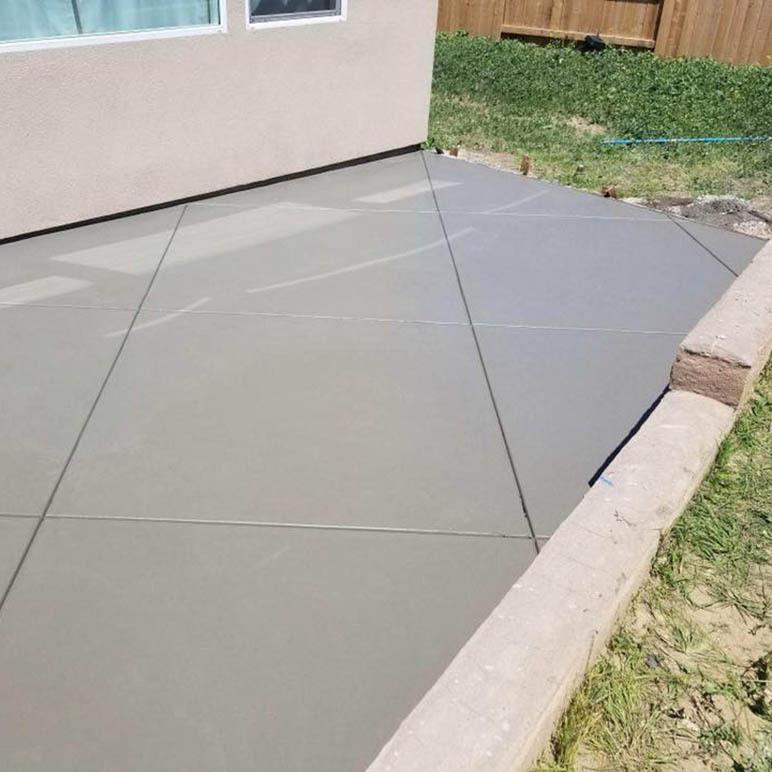 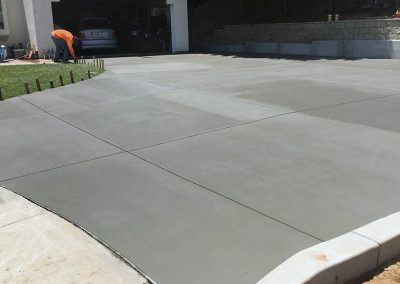 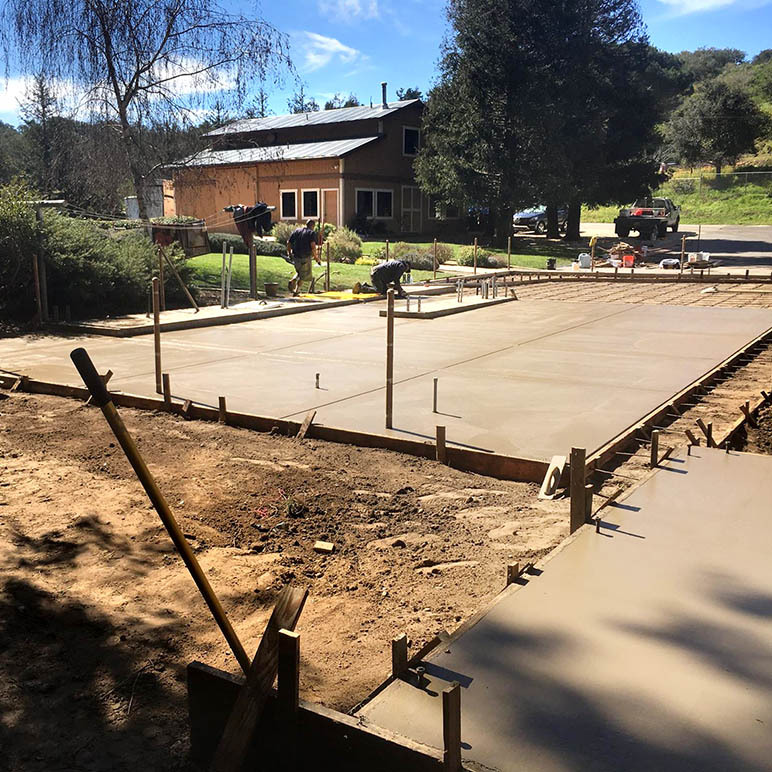 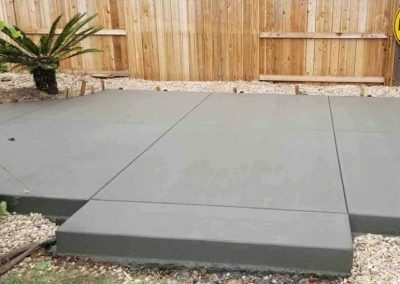 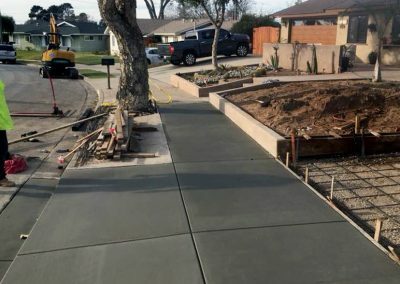 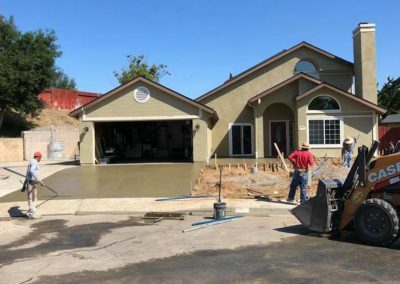 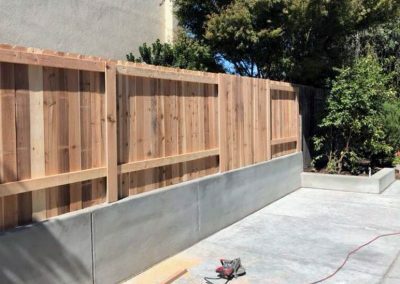 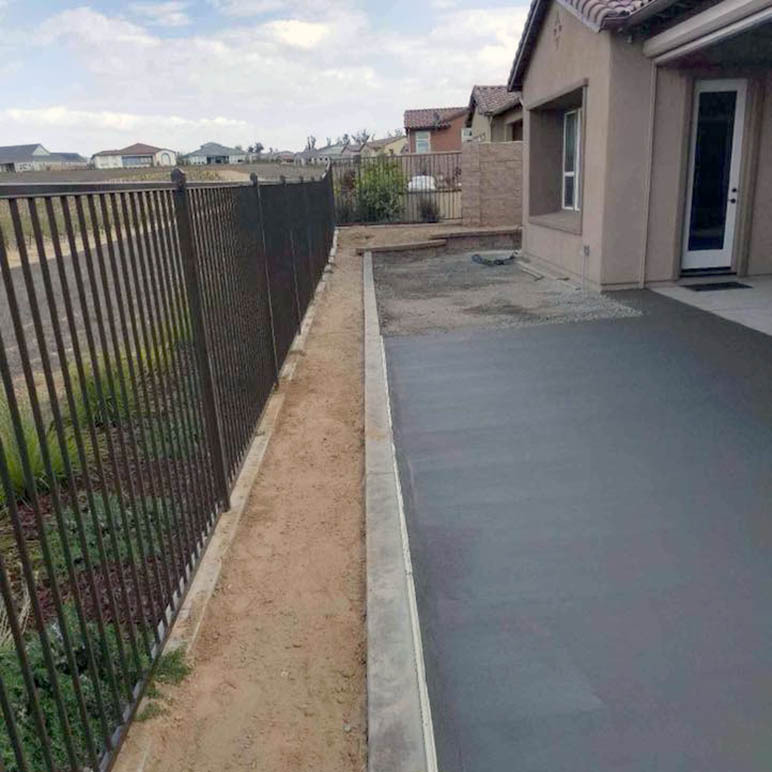 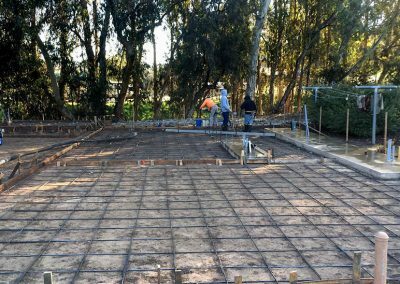 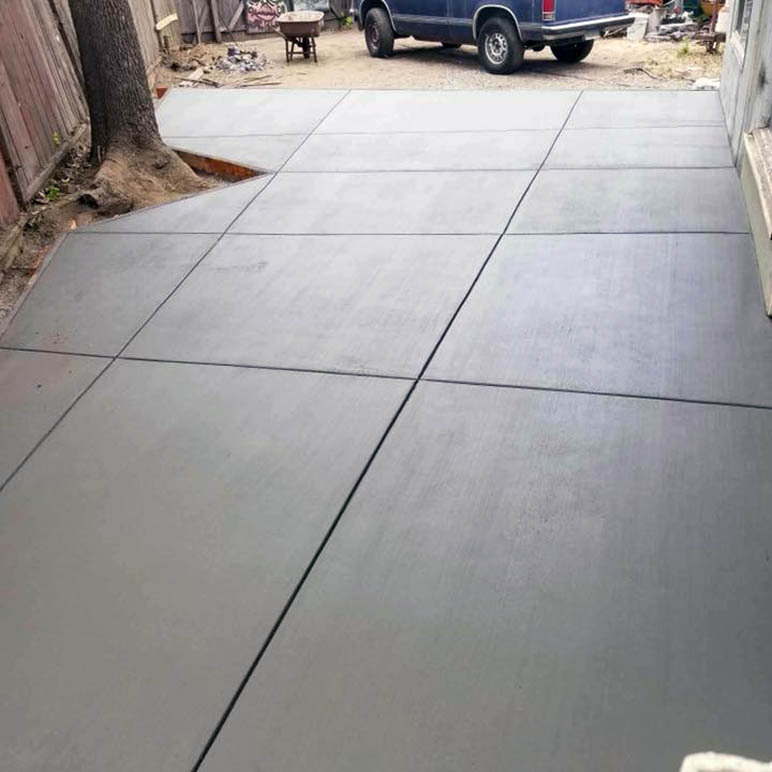 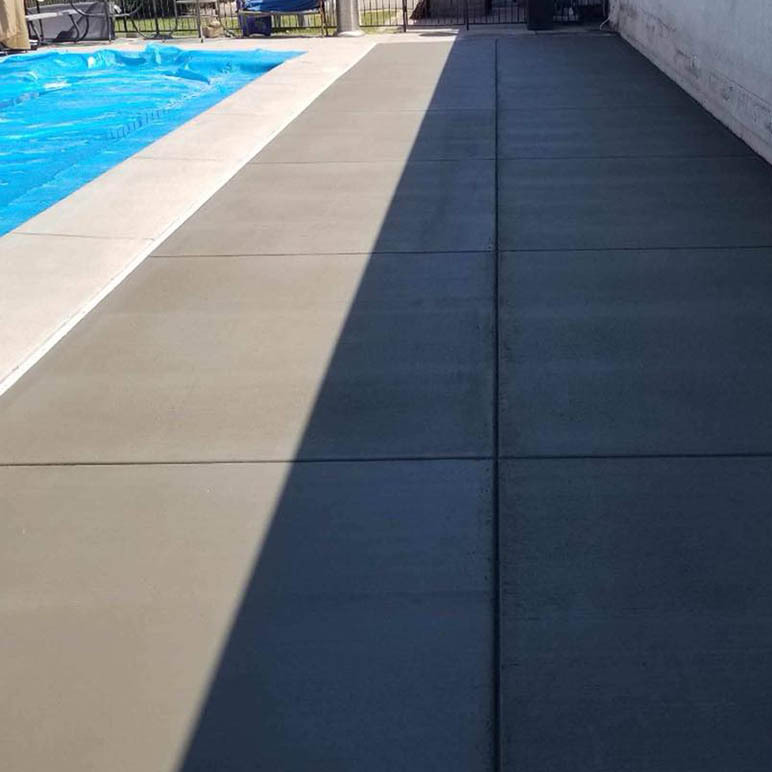 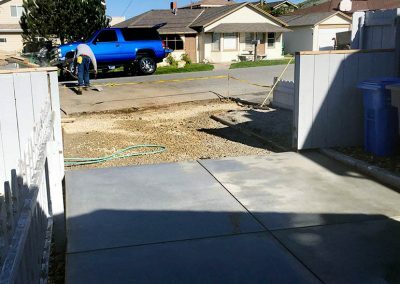 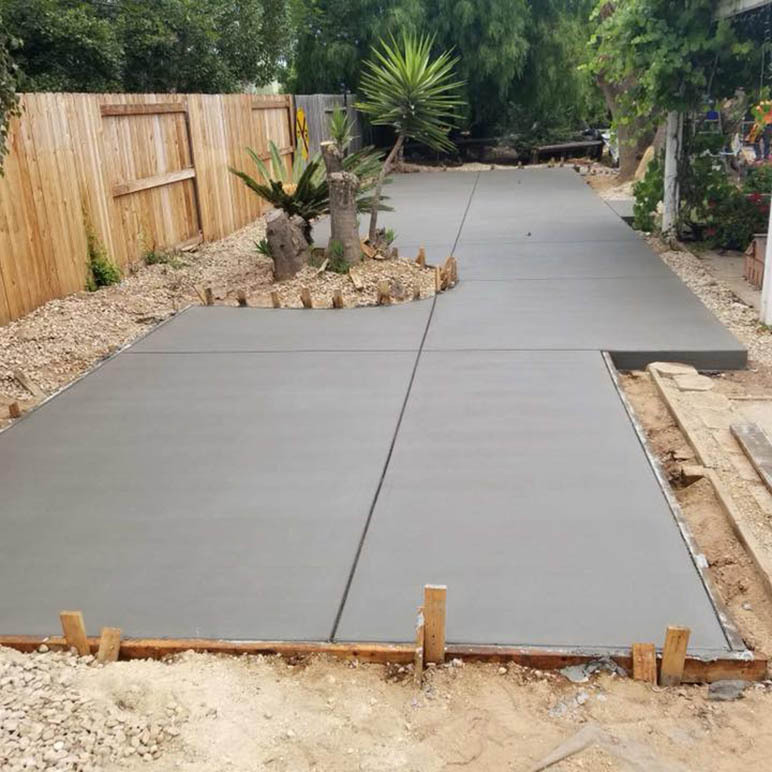 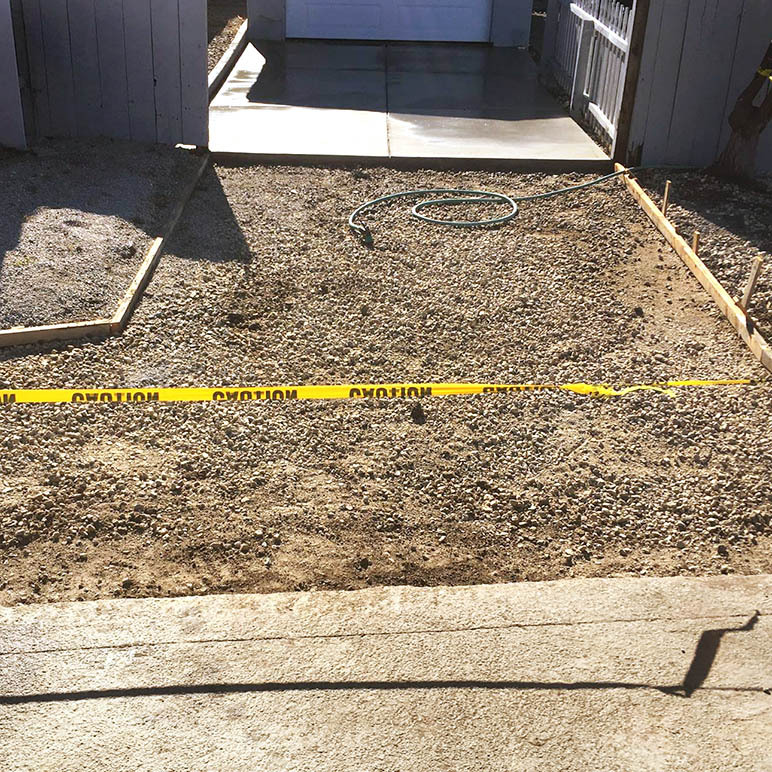 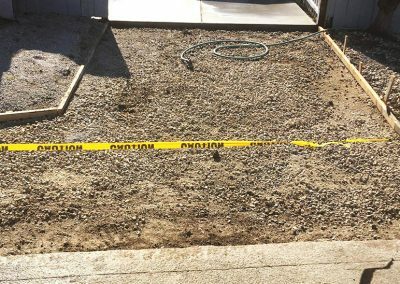 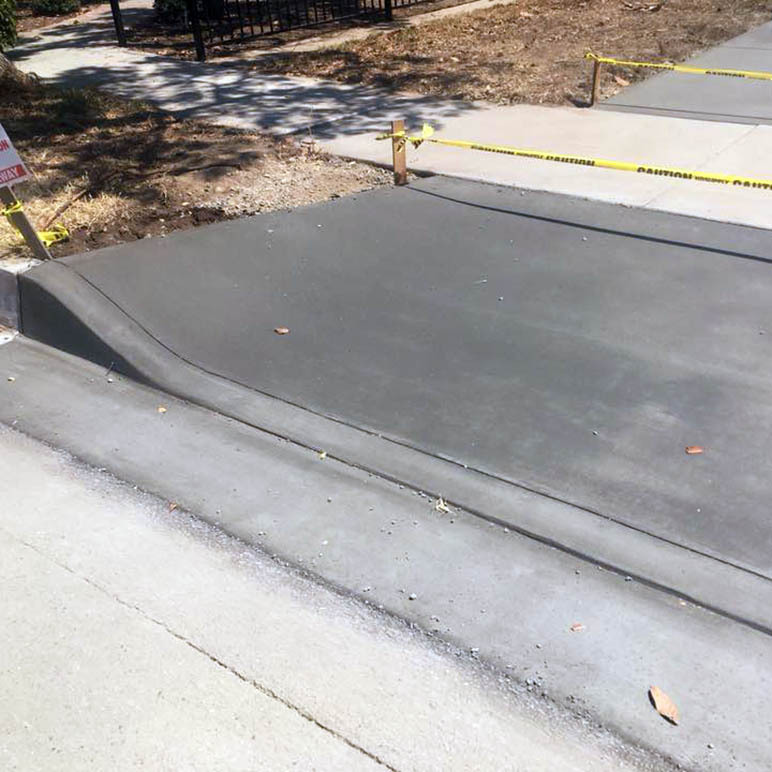 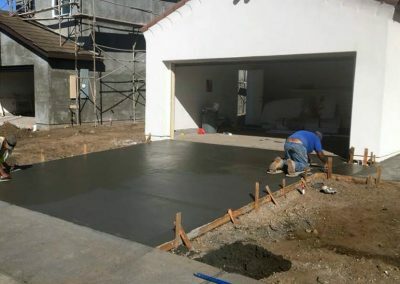 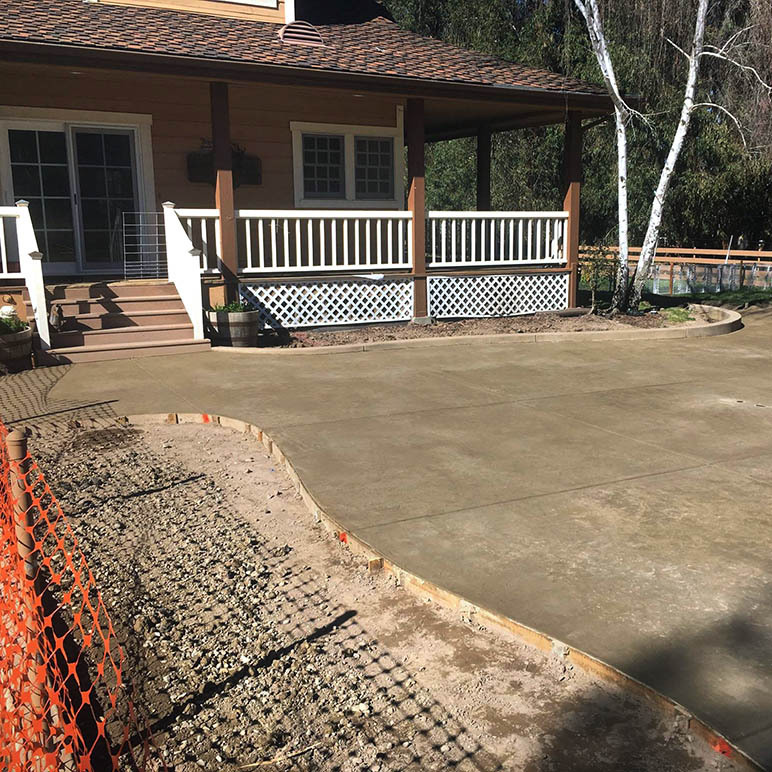 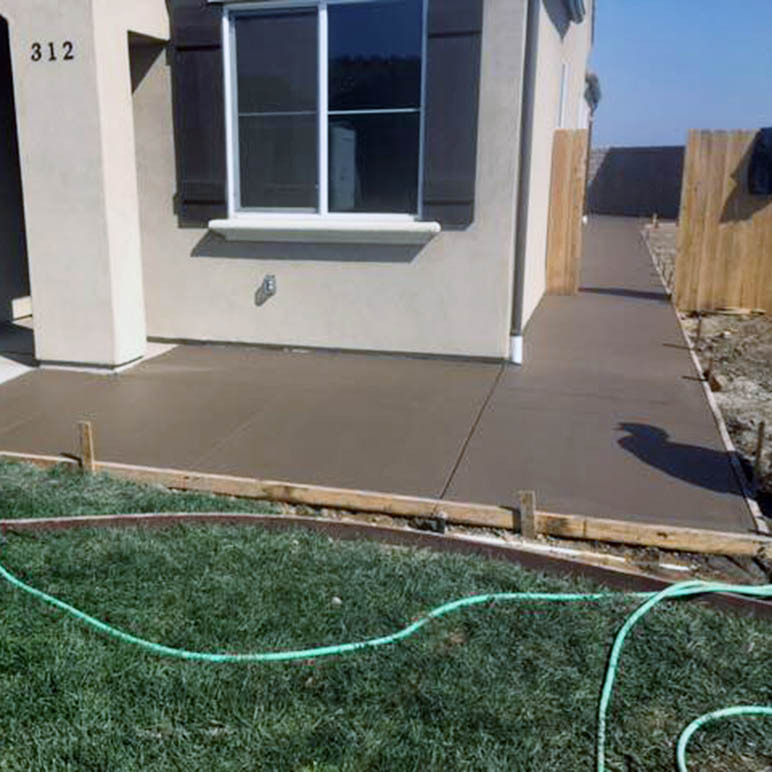 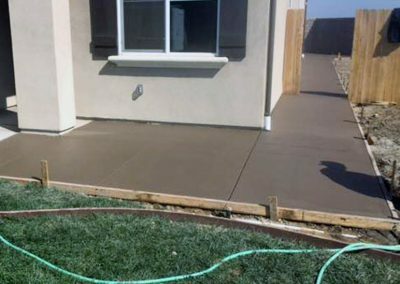 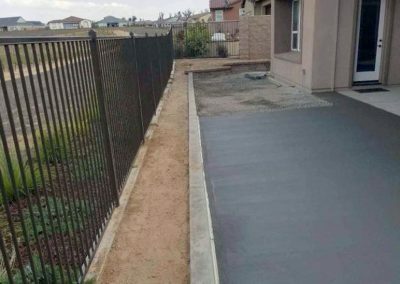 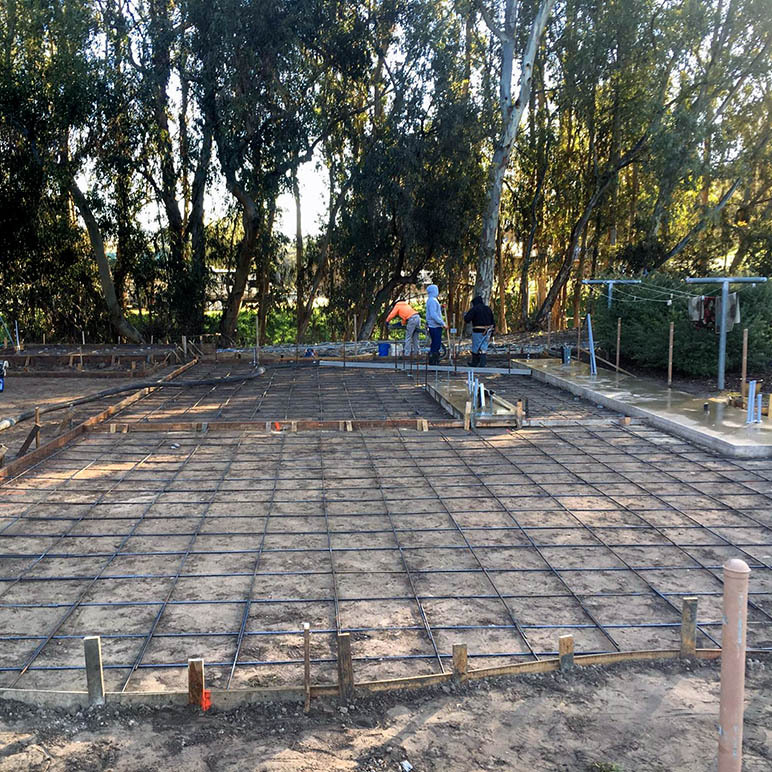 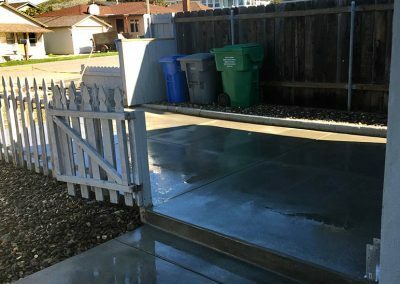 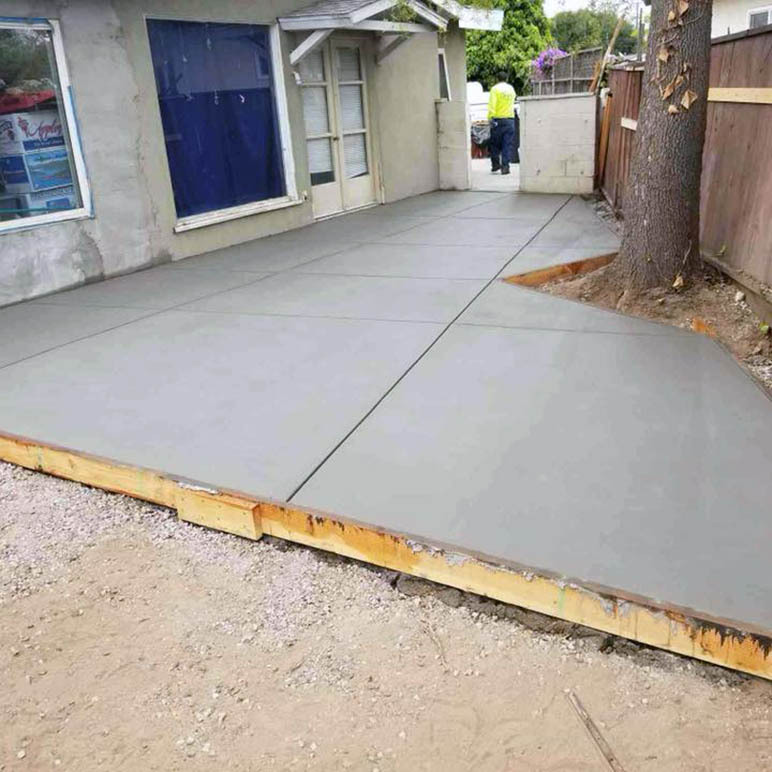 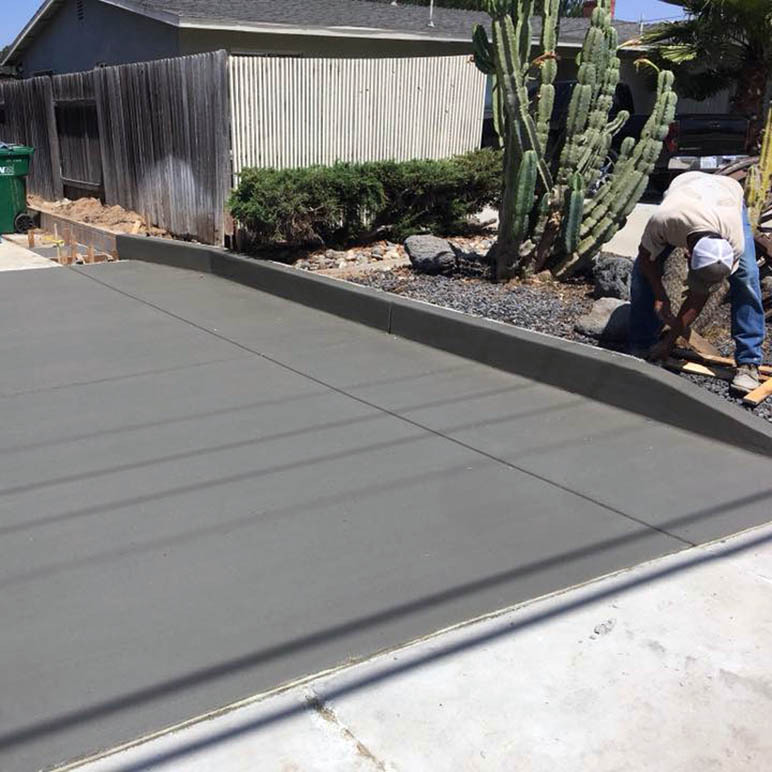 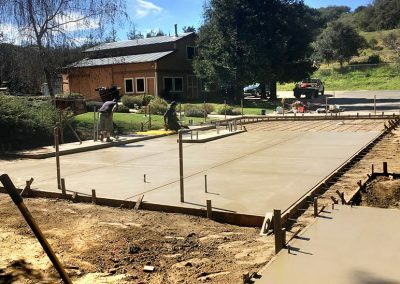 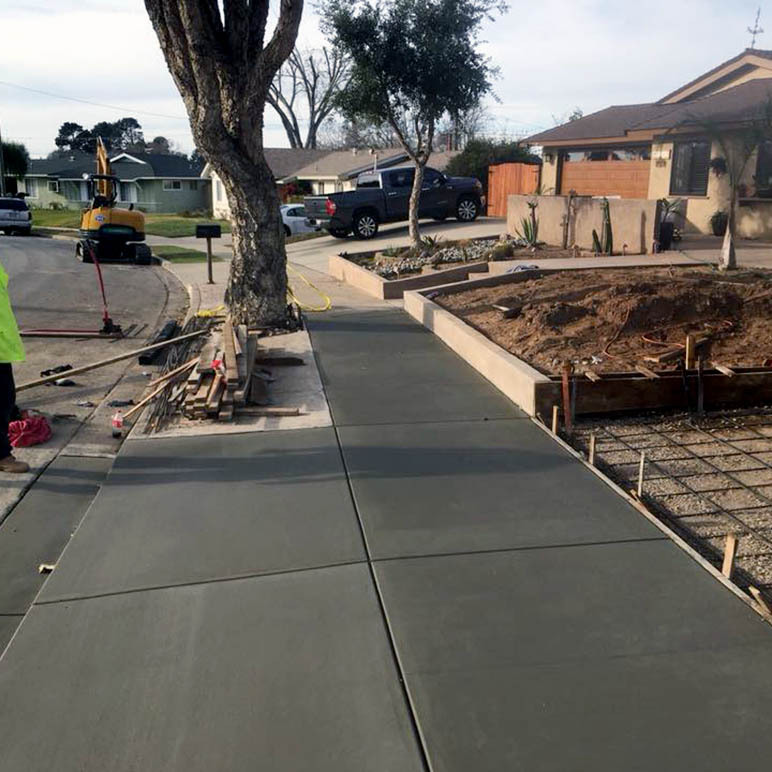 If you’re looking for an upgrade to your San Luis Obispo home or ready to break ground on your new building, give us a call at (805) 621-3966 and one of our concrete experts will happily give you a free estimate. 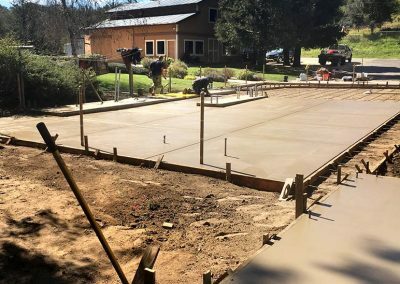 From custom homes and residential developments to large commercial projects R&E Concrete Company’s crew of concrete foundation experts is ready to build what every your architect’s imagination has dreamed up. 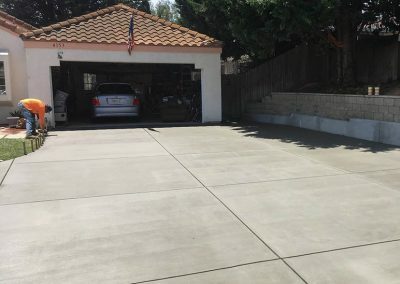 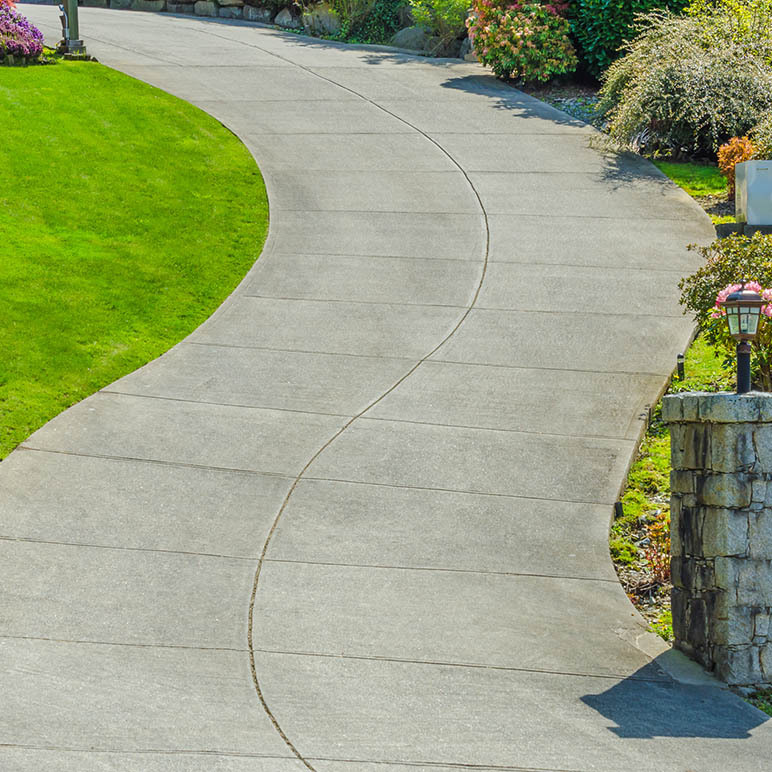 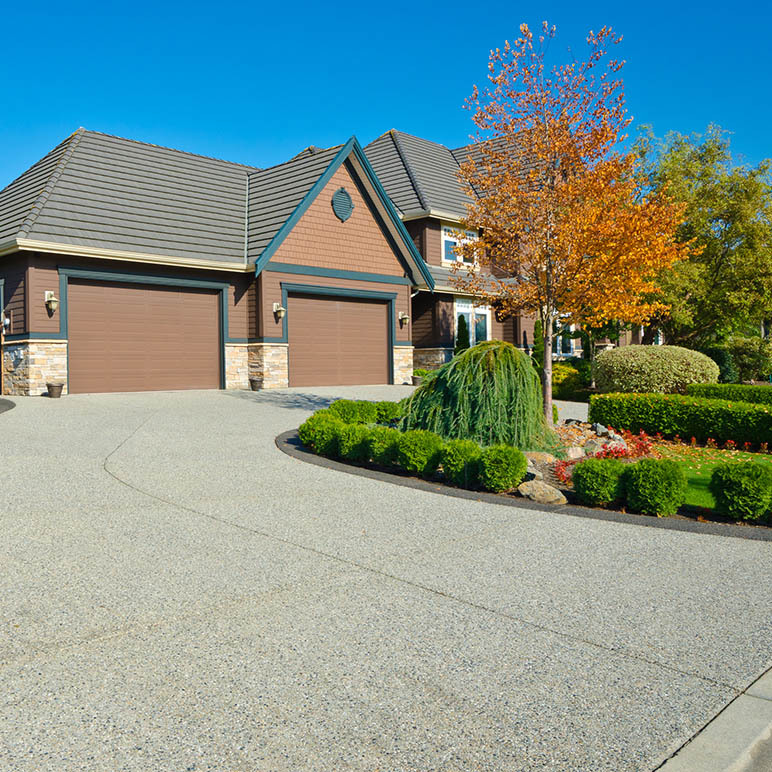 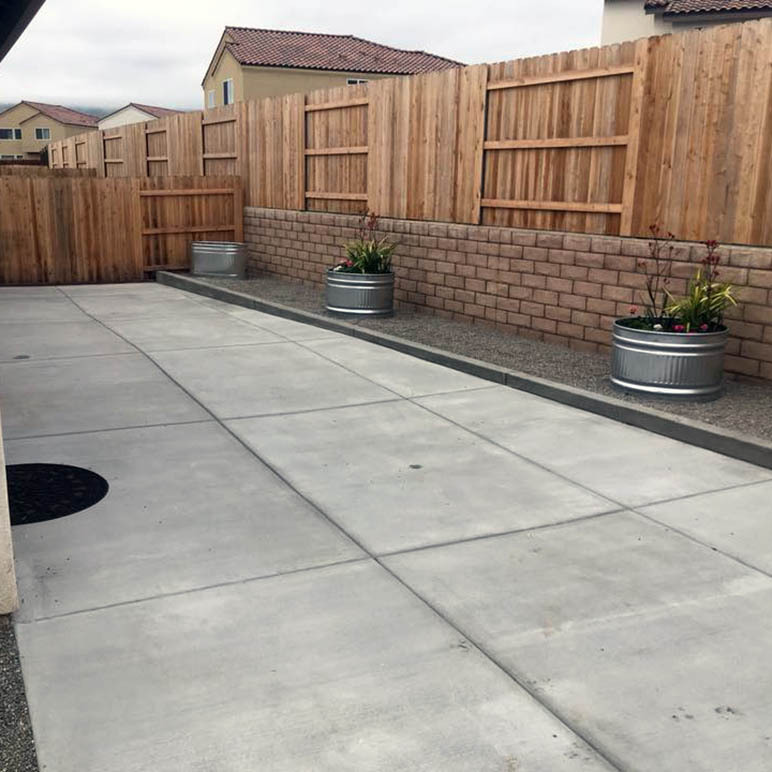 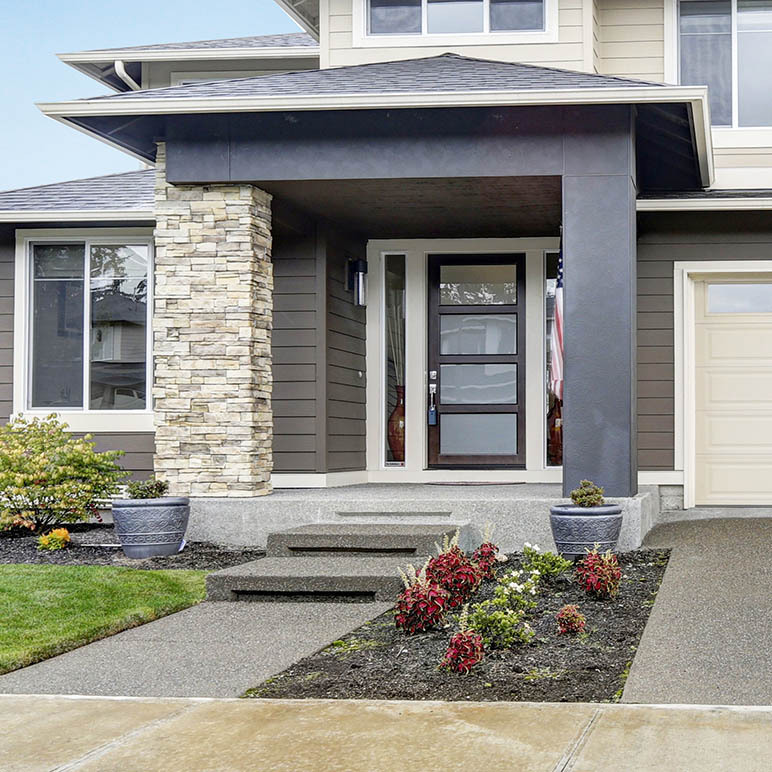 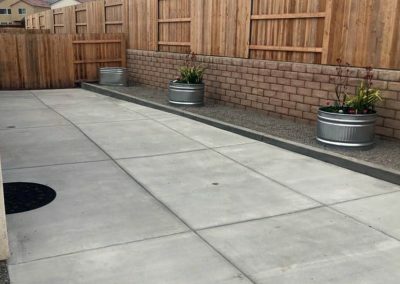 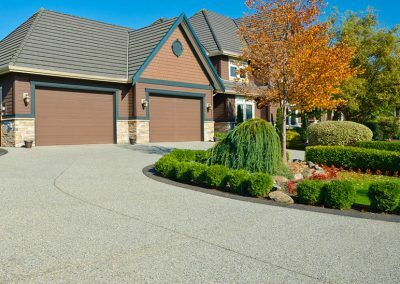 With the variety of concrete materials available on the market today, driveways can be more than a pathway to your garage; they can be an integral part of your home’s landscape and style. 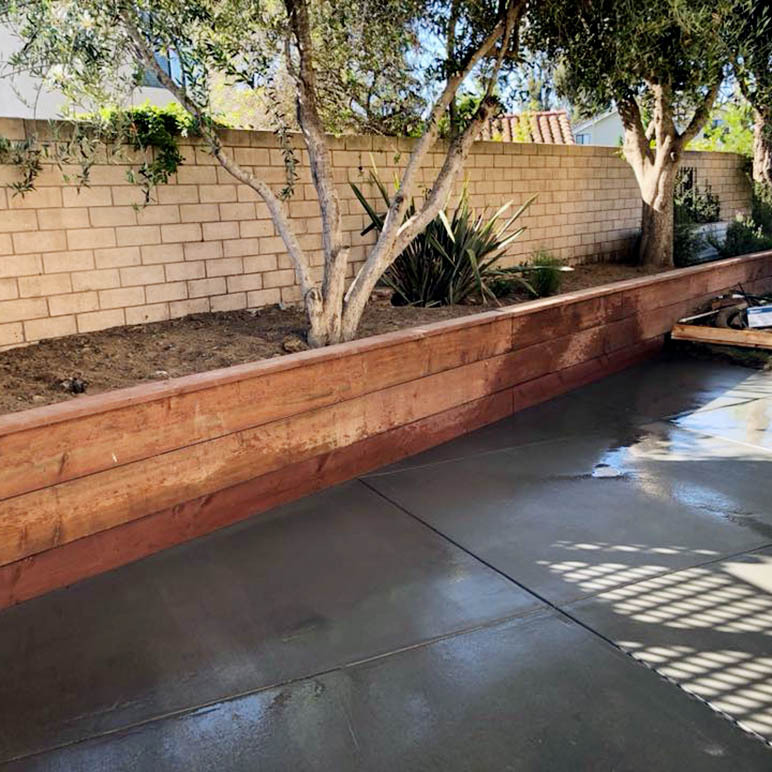 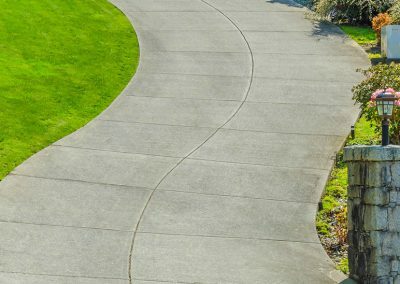 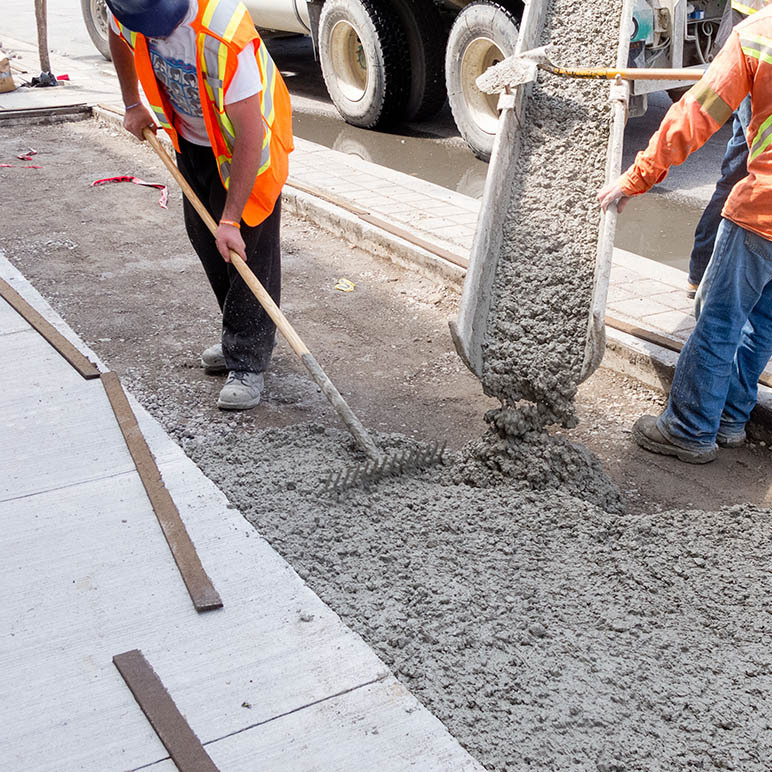 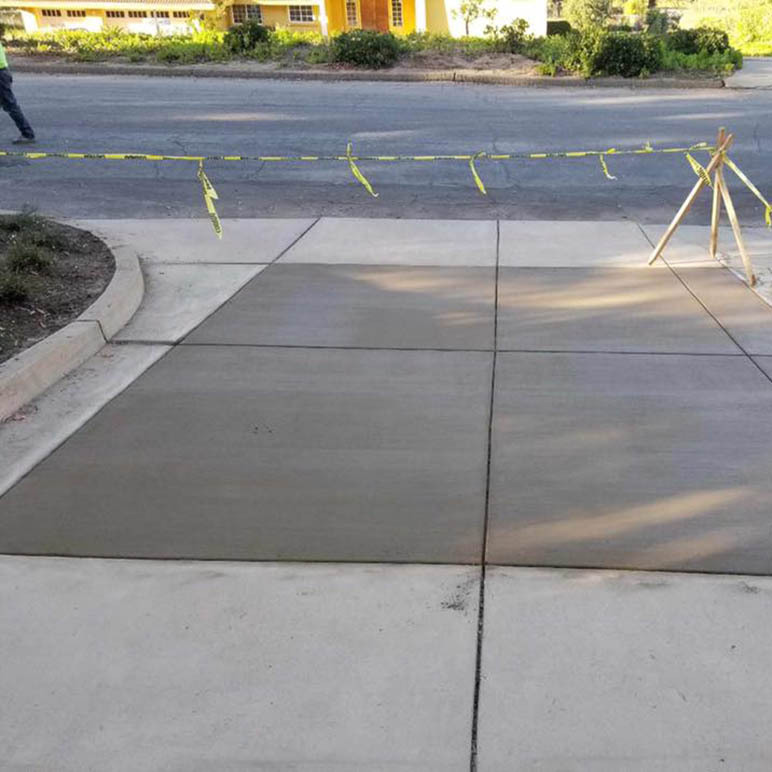 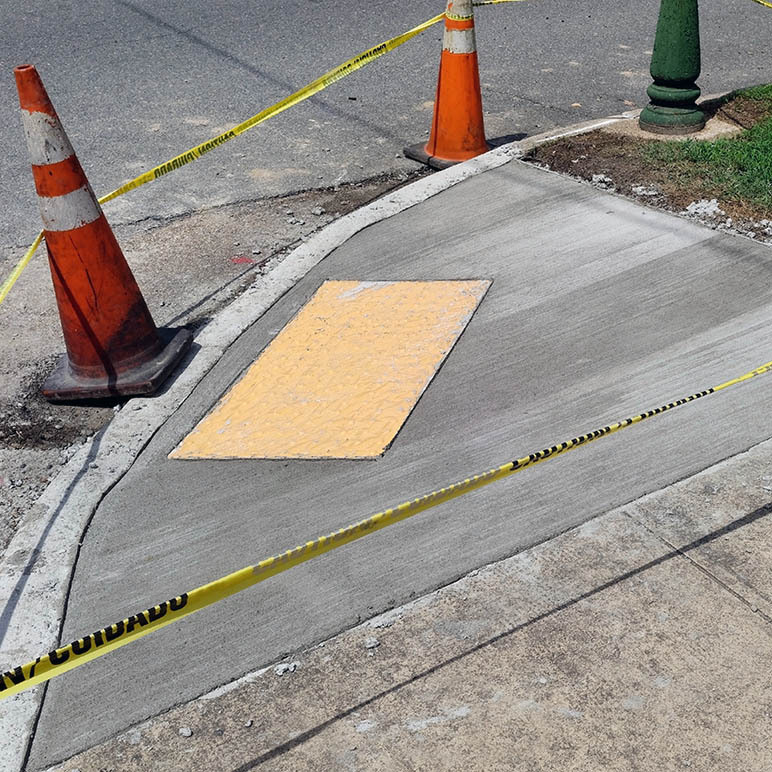 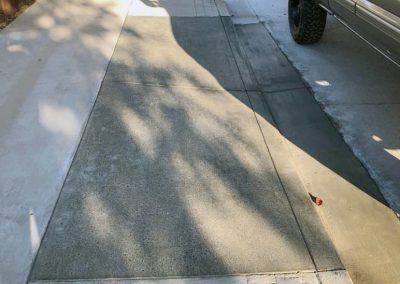 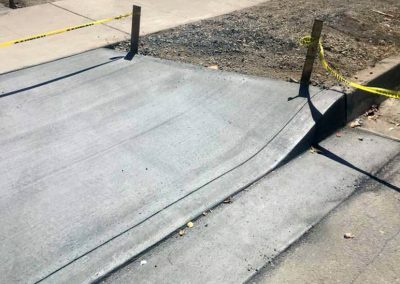 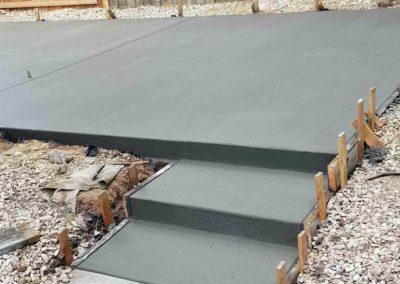 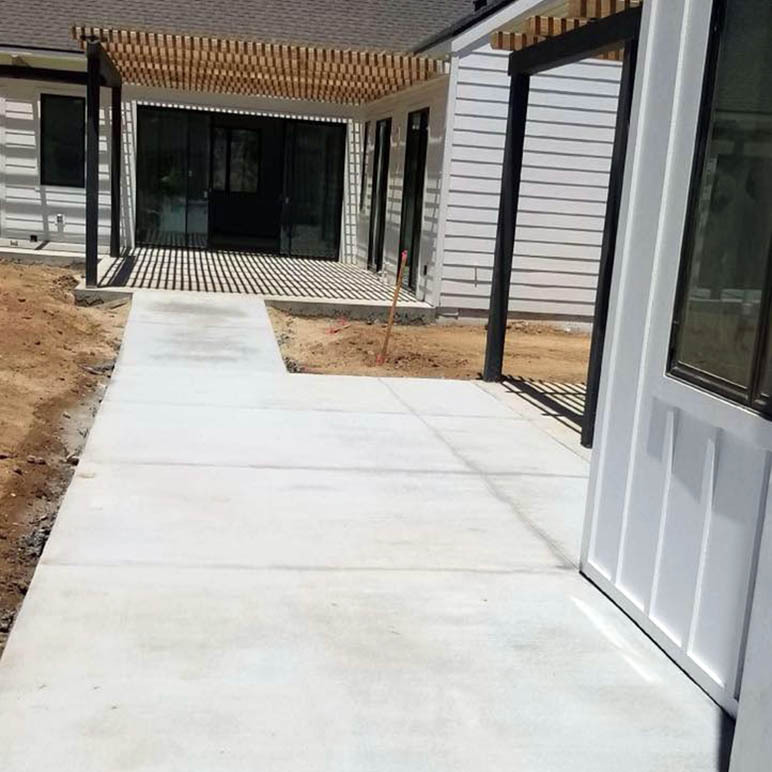 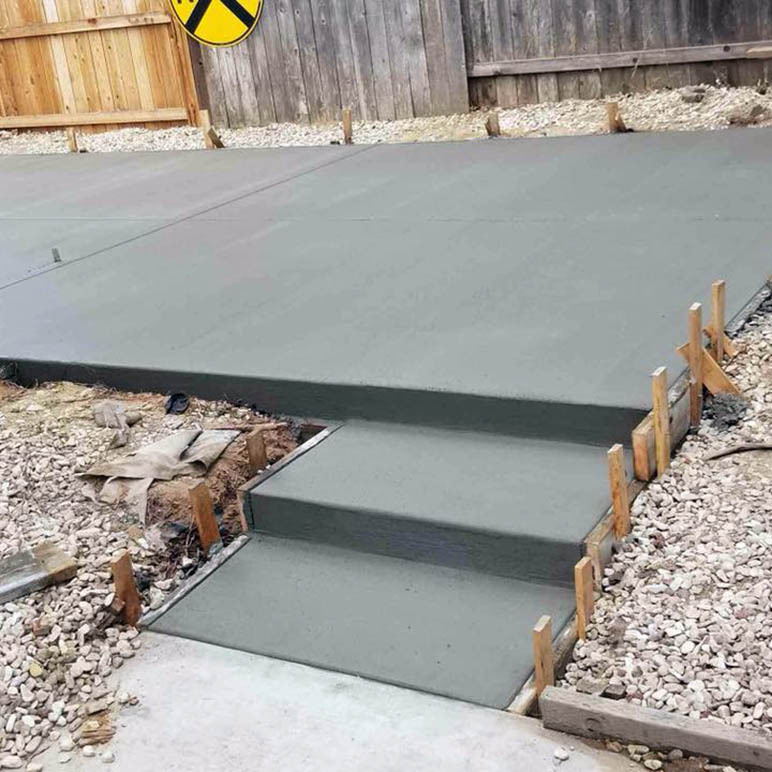 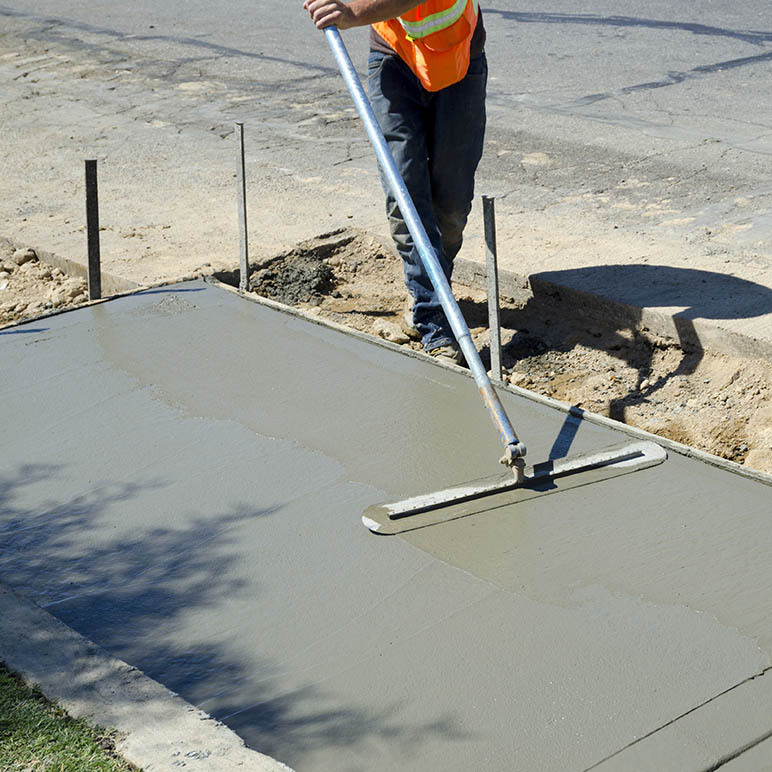 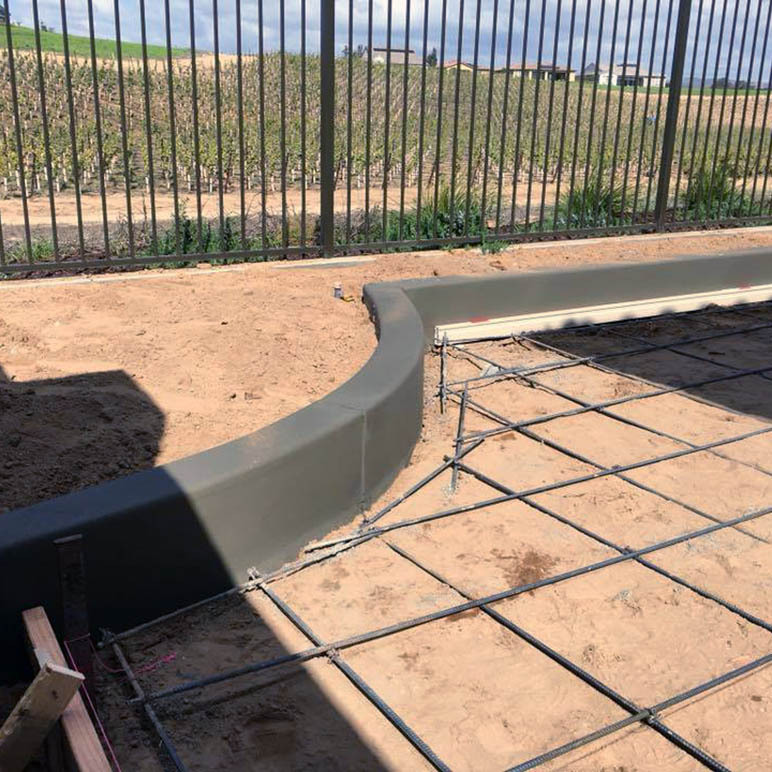 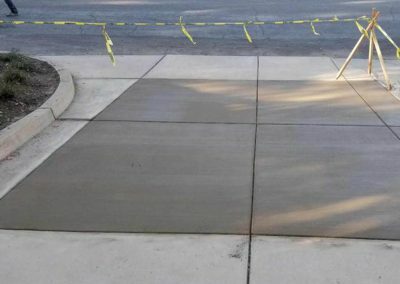 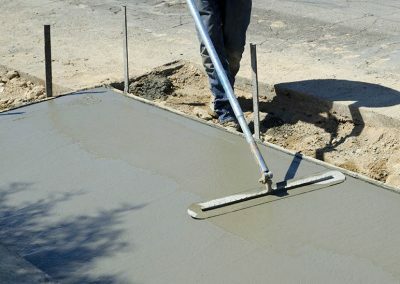 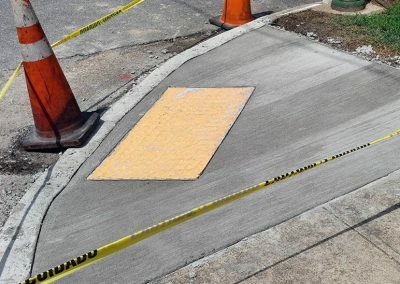 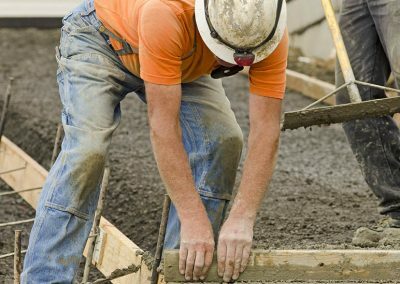 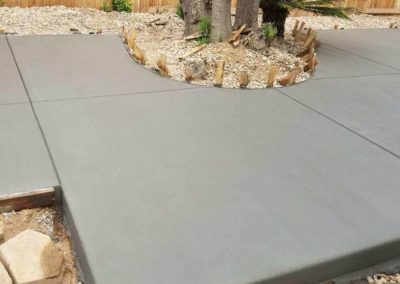 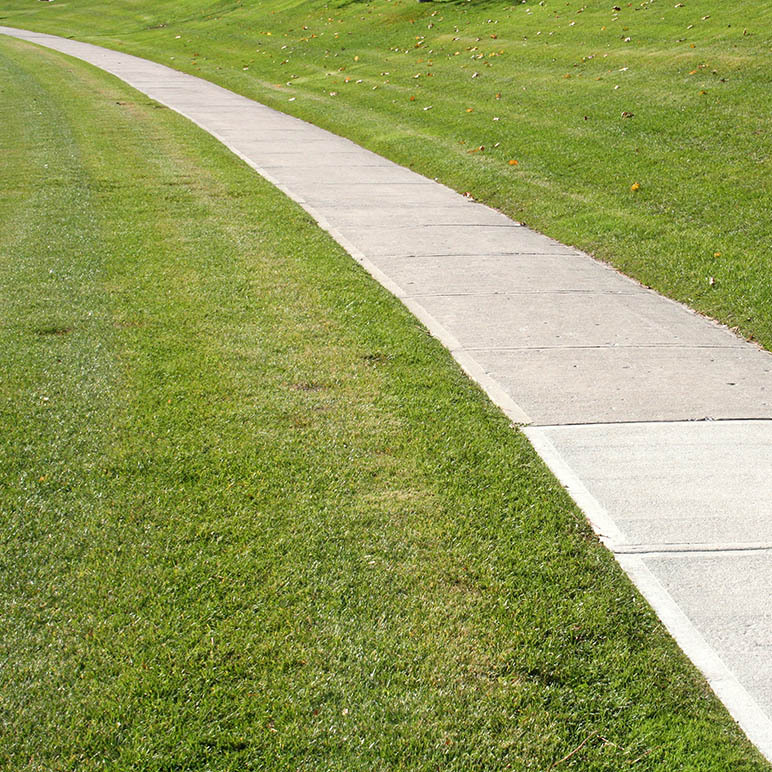 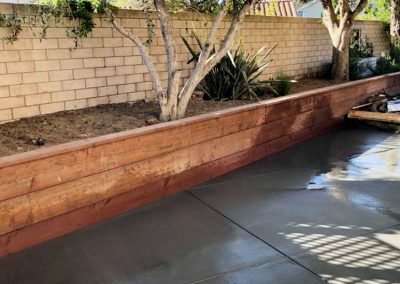 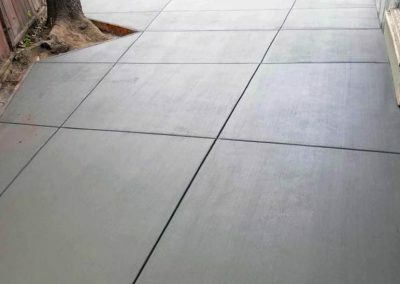 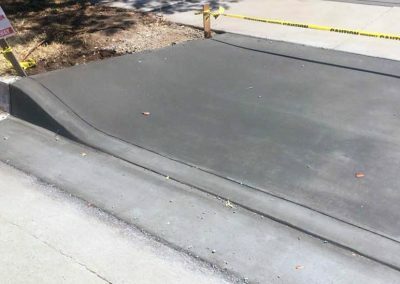 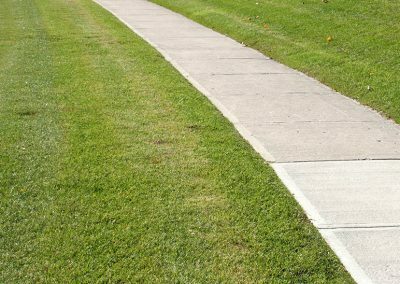 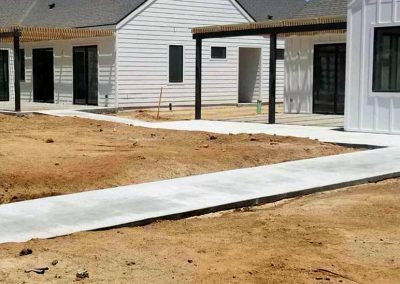 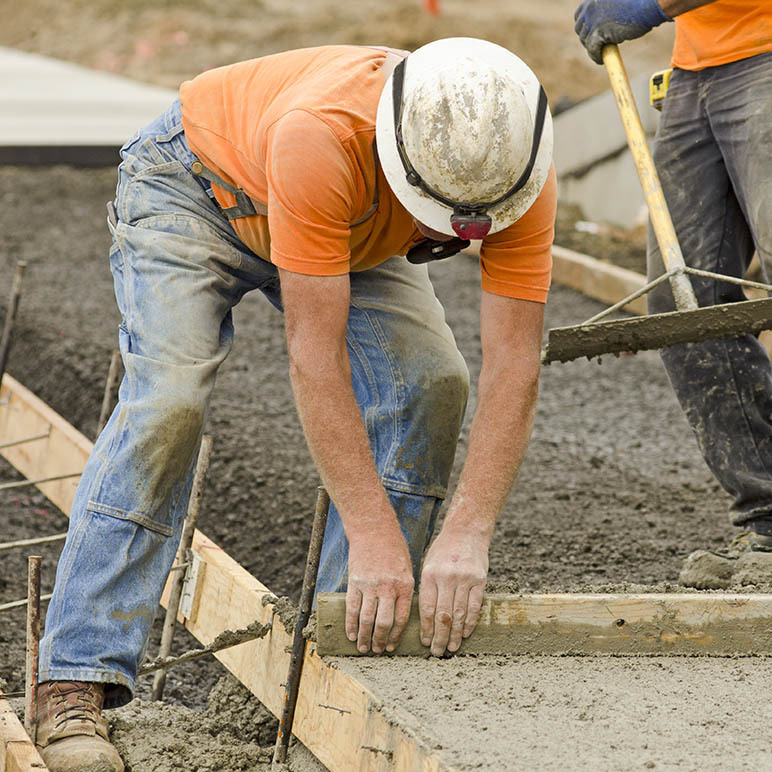 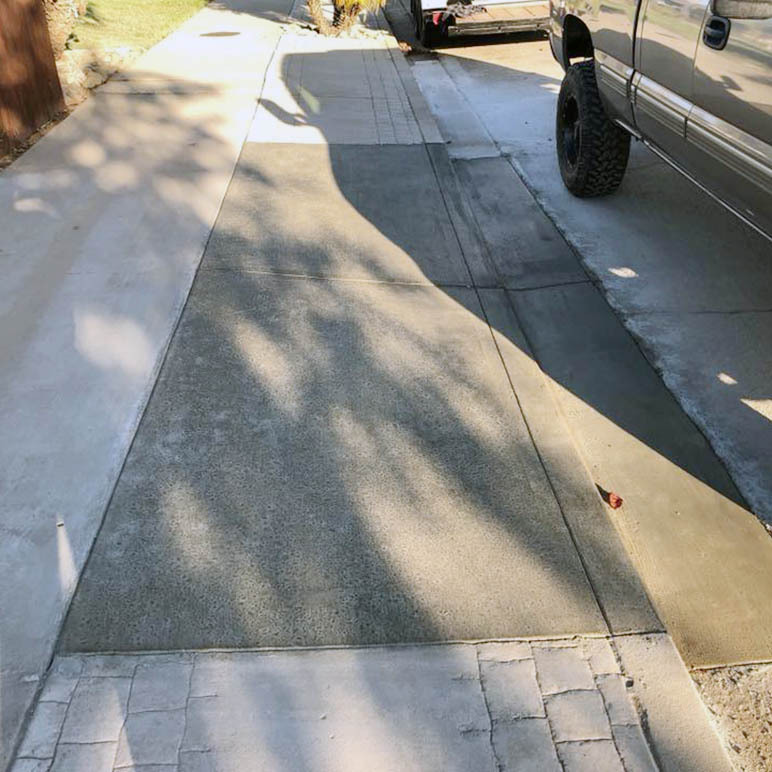 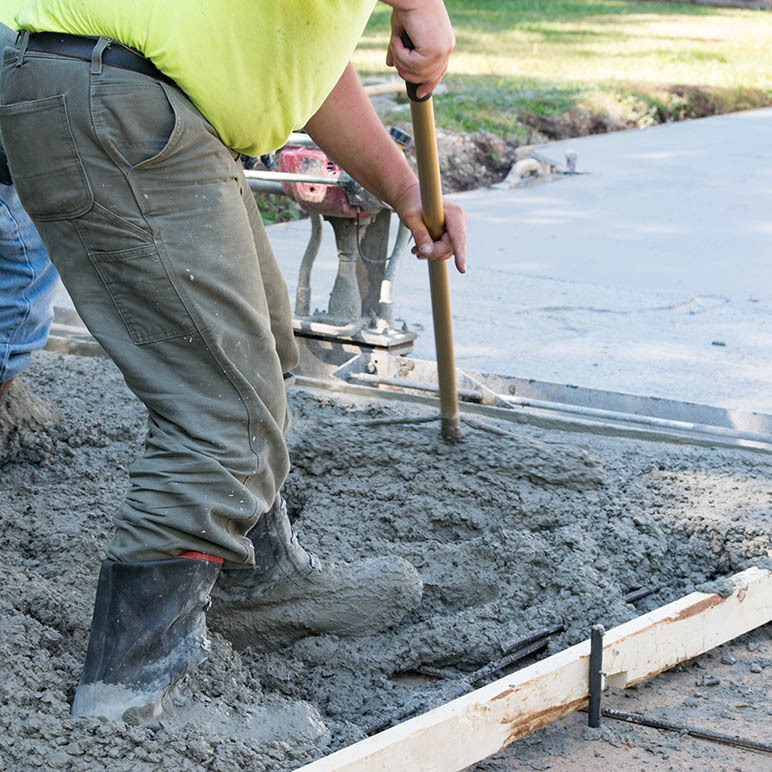 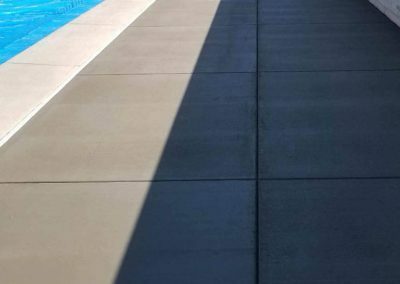 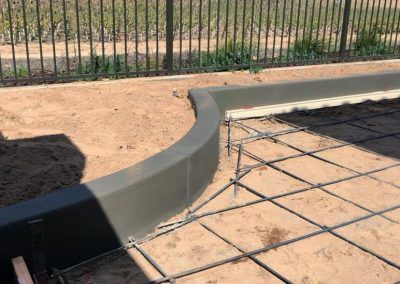 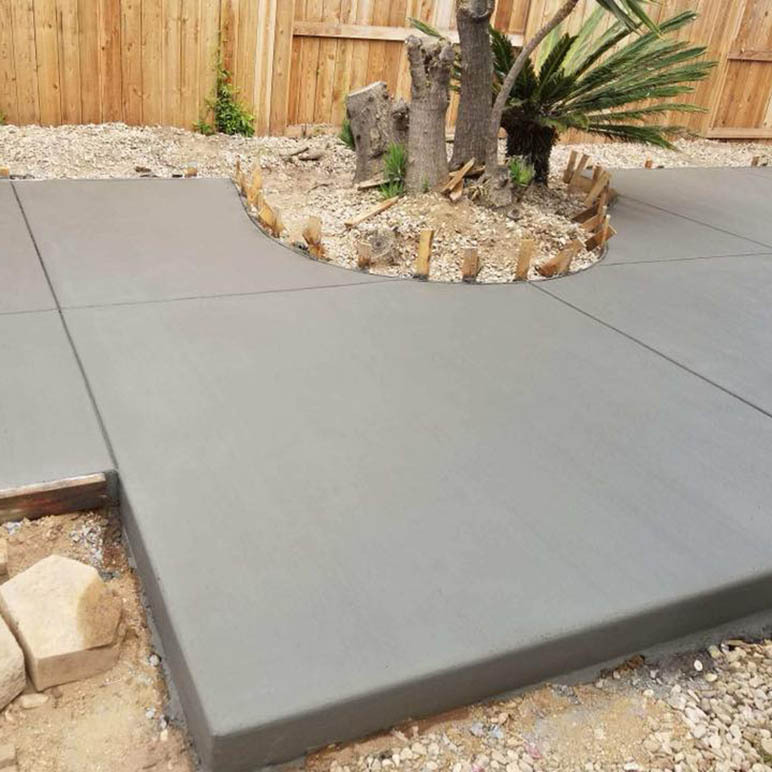 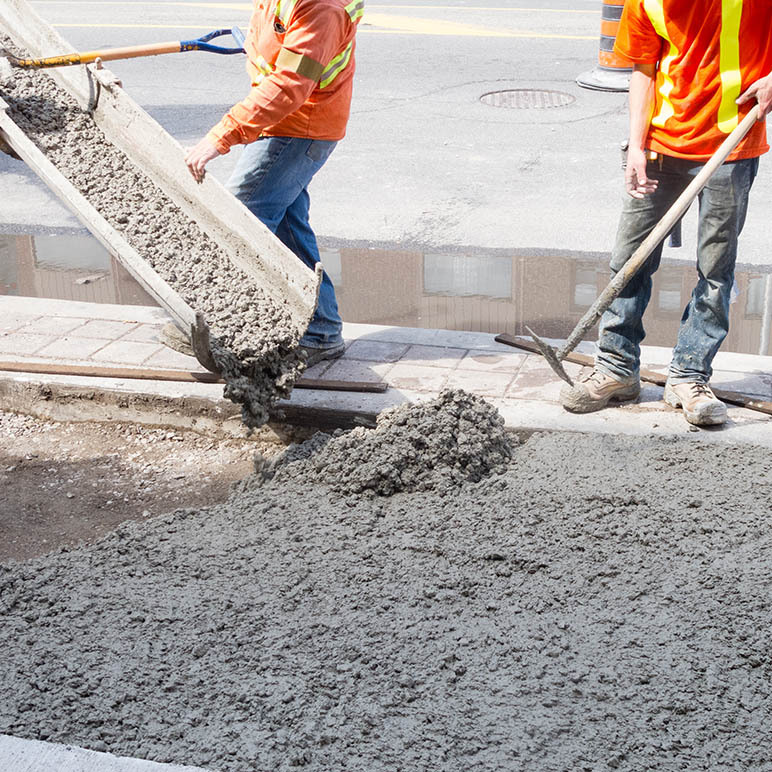 Whether stamped, stained, poured, or all of the above, R&E Concrete Company has the experience to build sidewalks and custom curbing to complement your residential, commercial, retail, or municipal project’s needs. 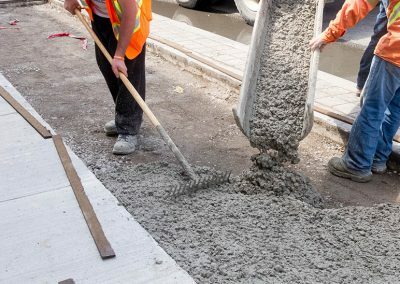 What Can We Build With Concrete? 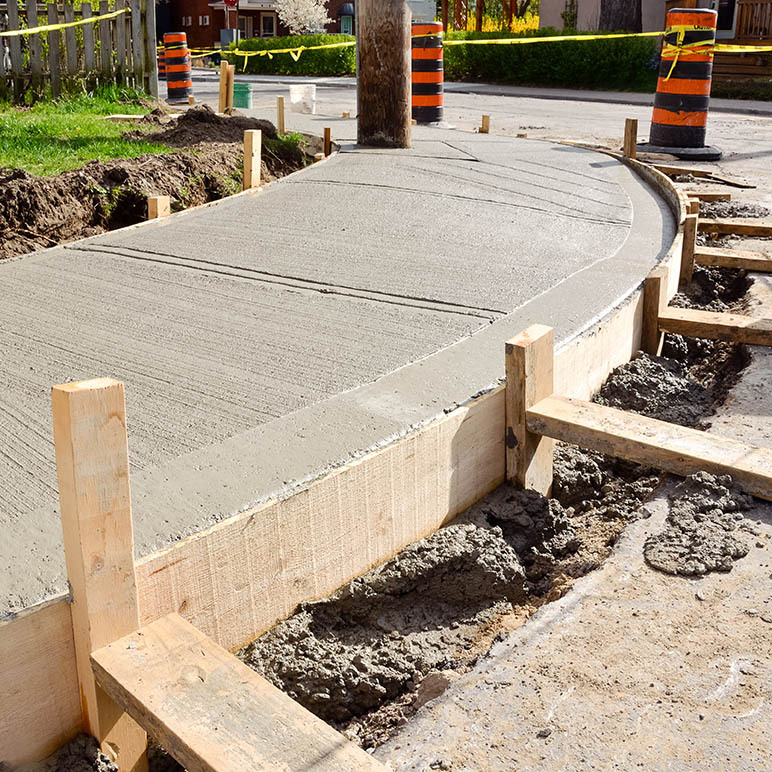 Perhaps the question should be… What can’t we build with concrete? 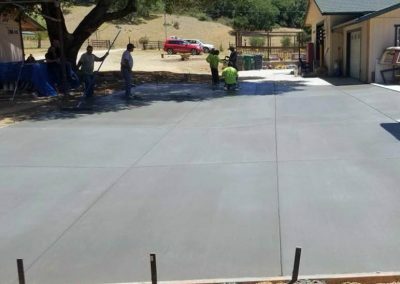 R&E Concrete Company is focused on combining the latest concrete tech with time-proven methods to make every project manager proud. 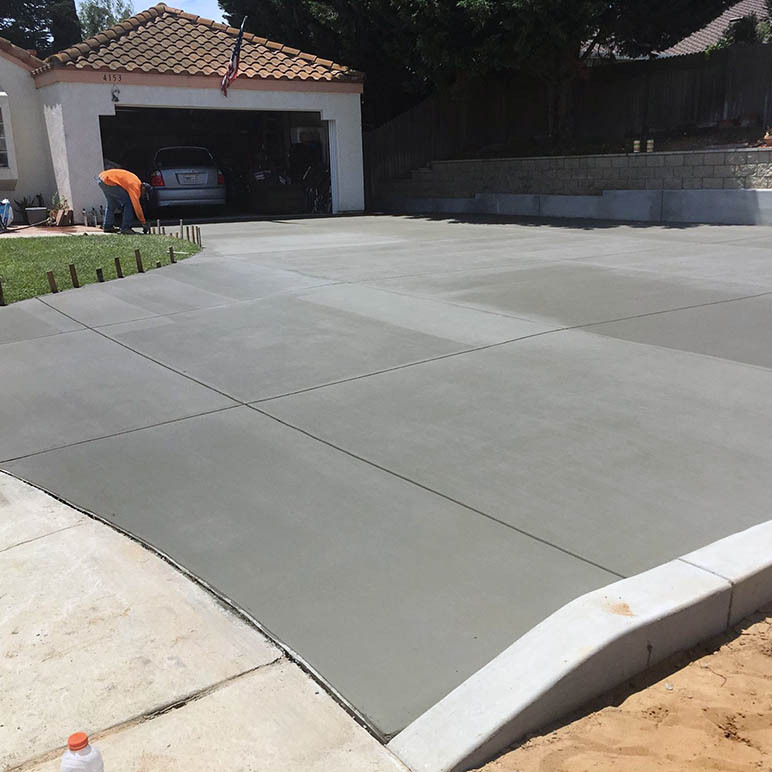 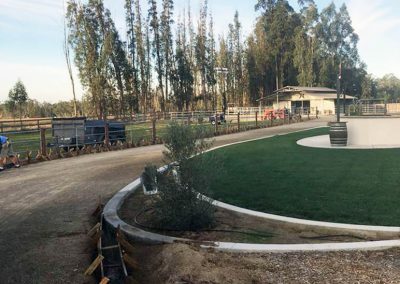 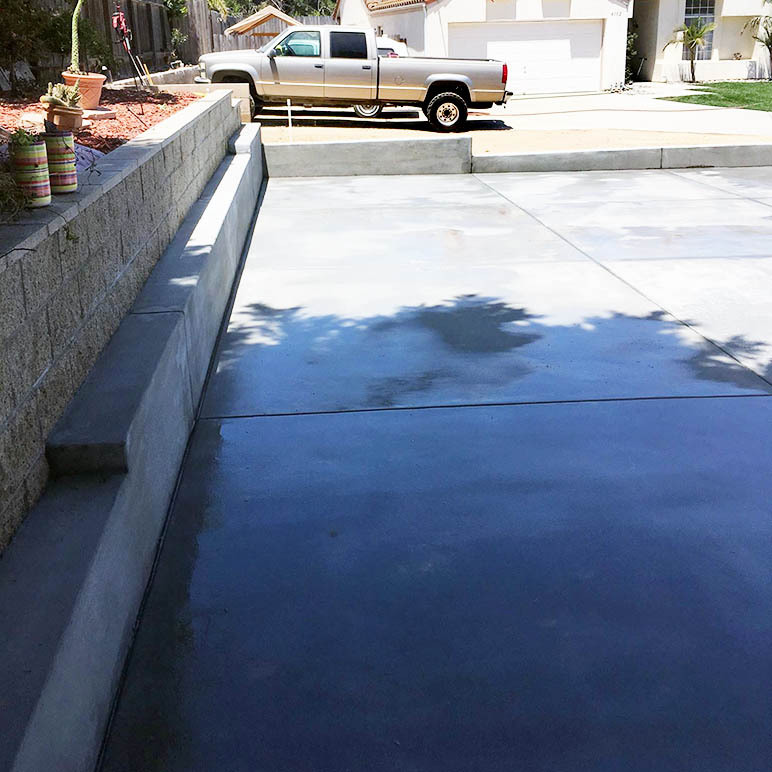 Here are just a few of the types of concrete projects we work on daily in Santa Maria.